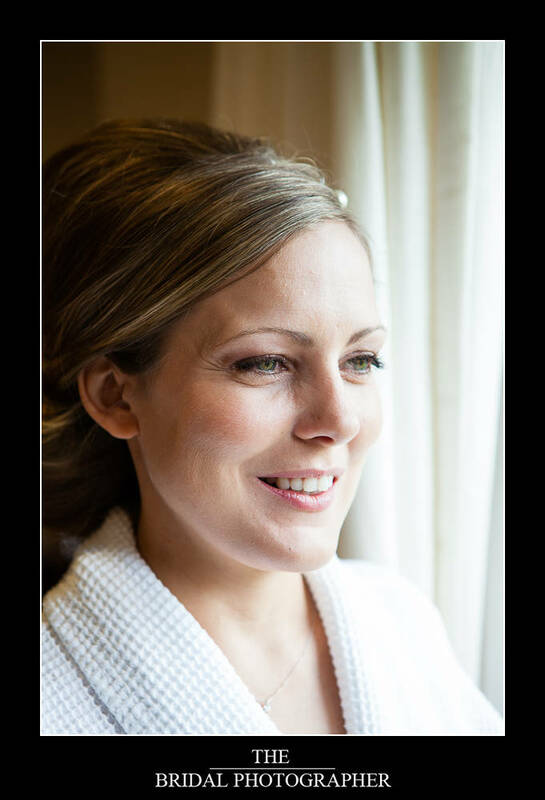 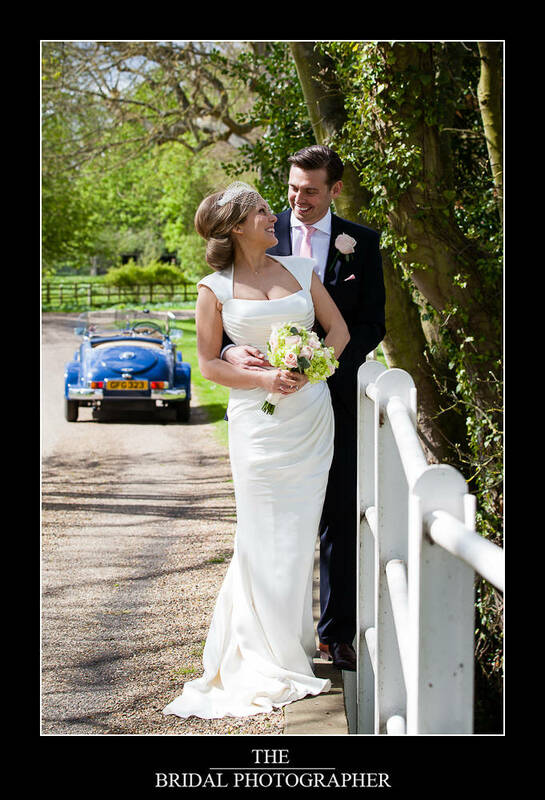 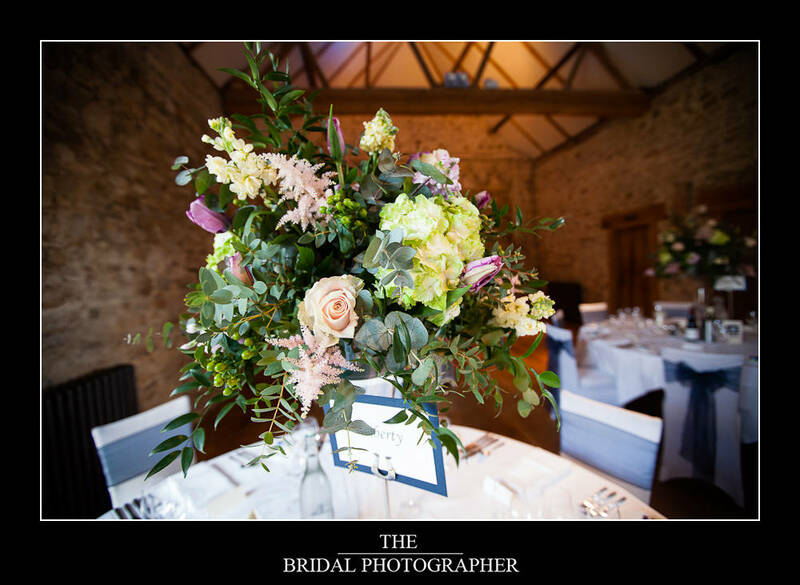 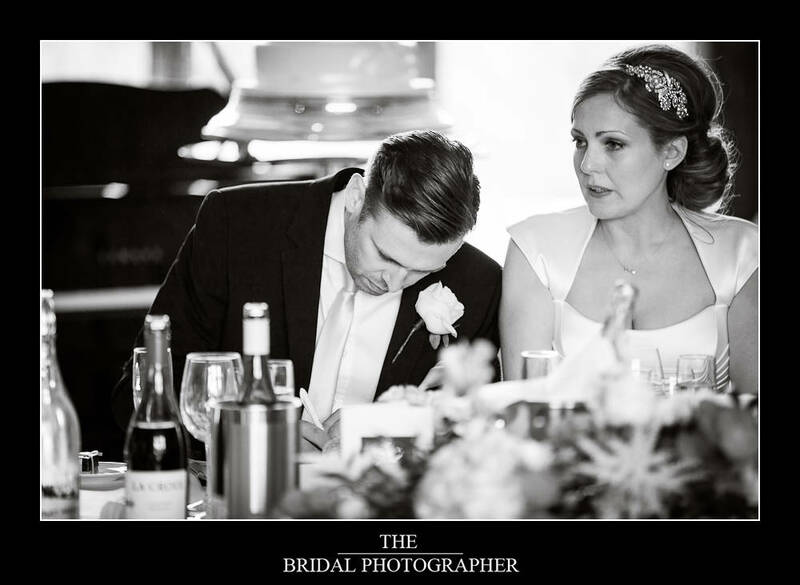 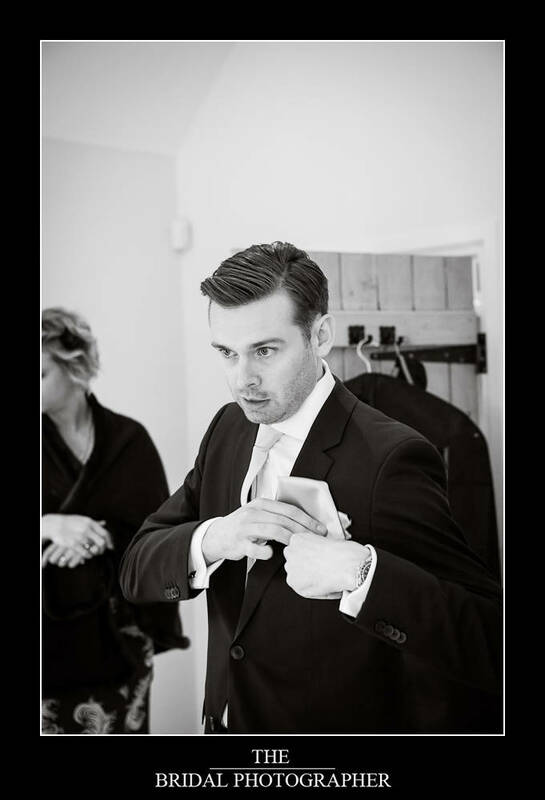 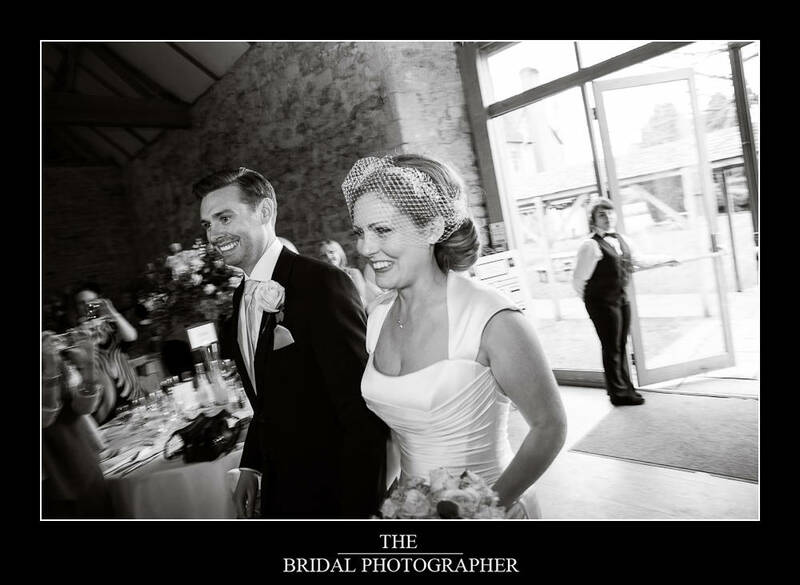 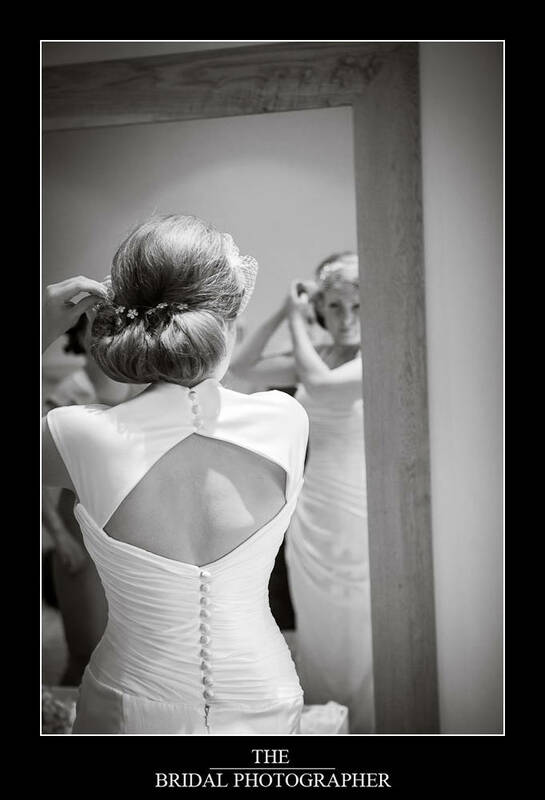 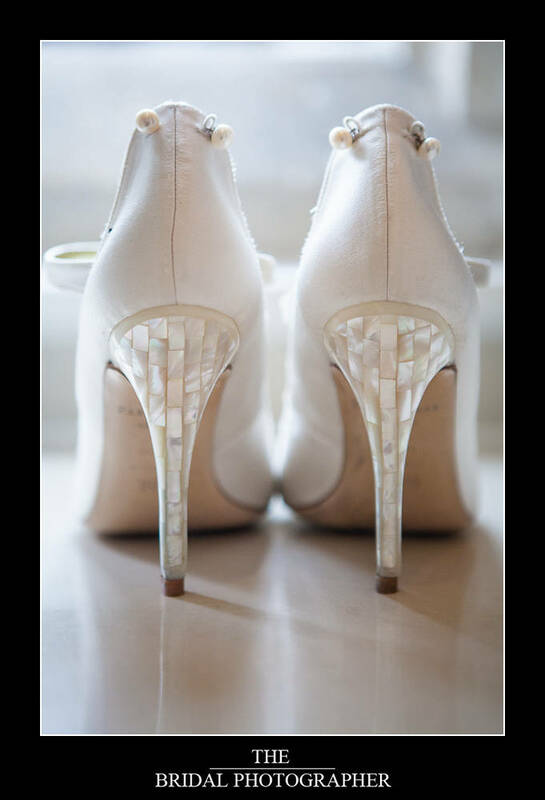 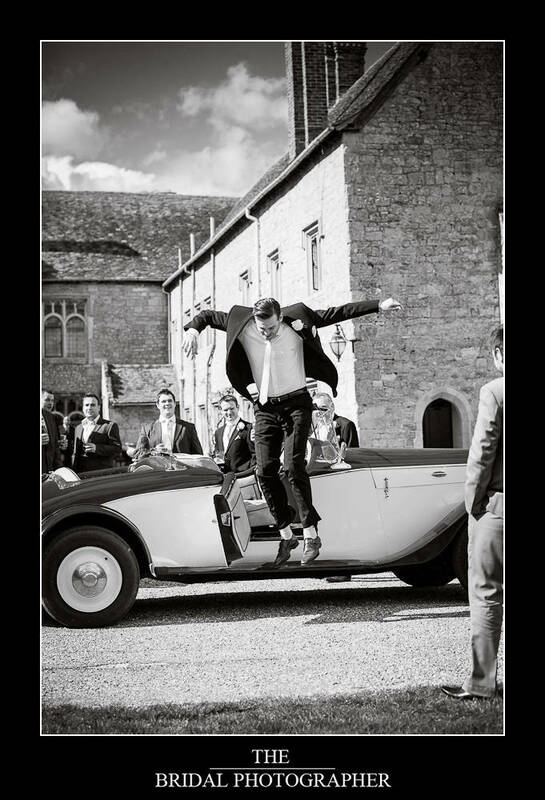 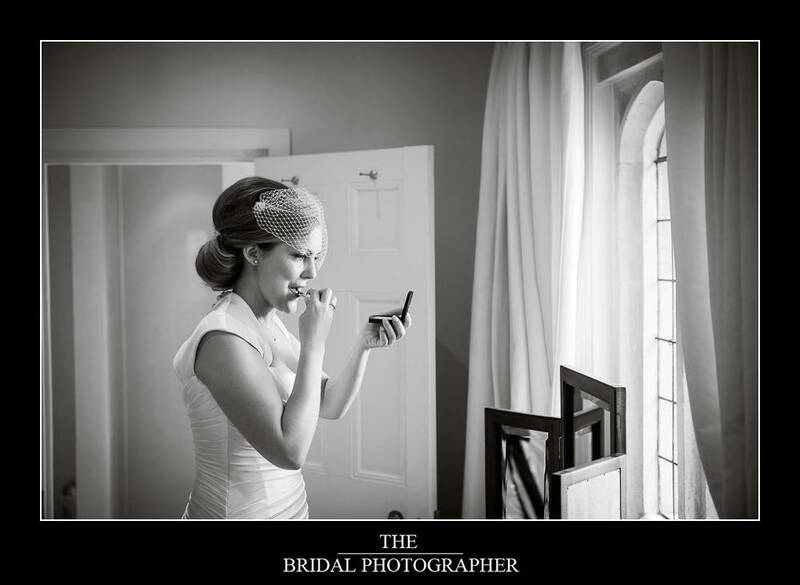 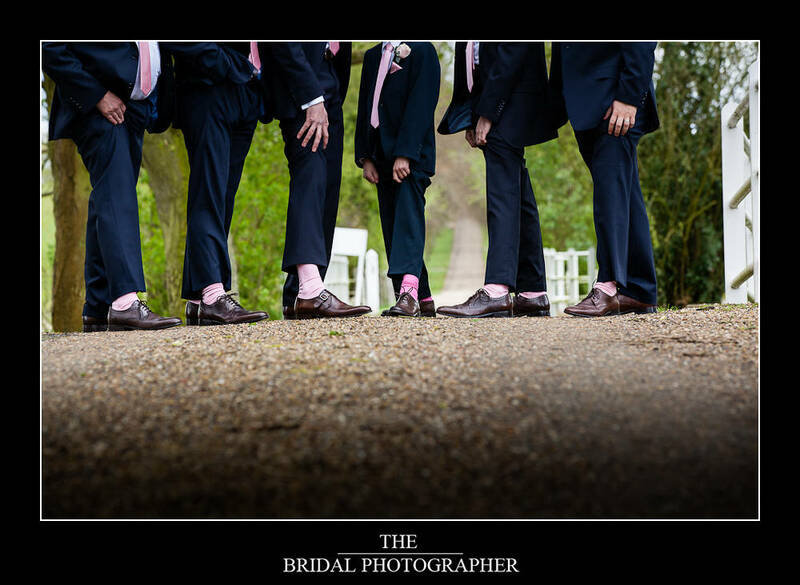 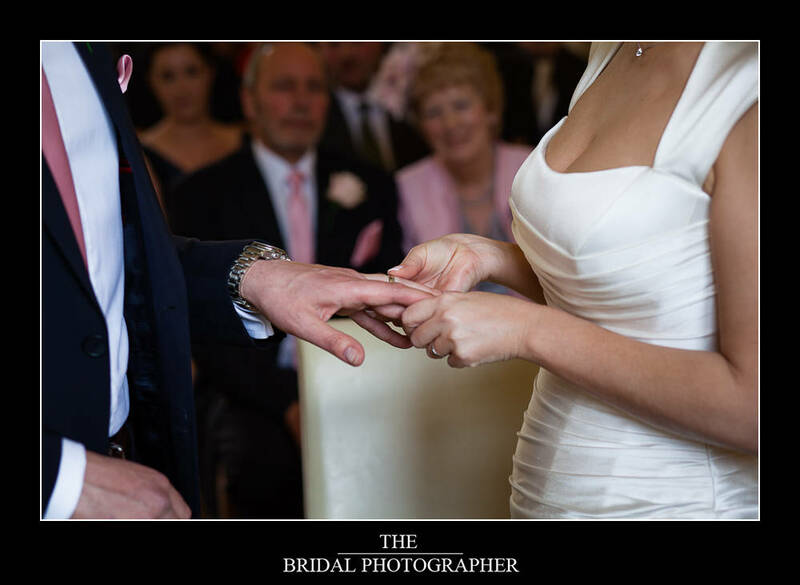 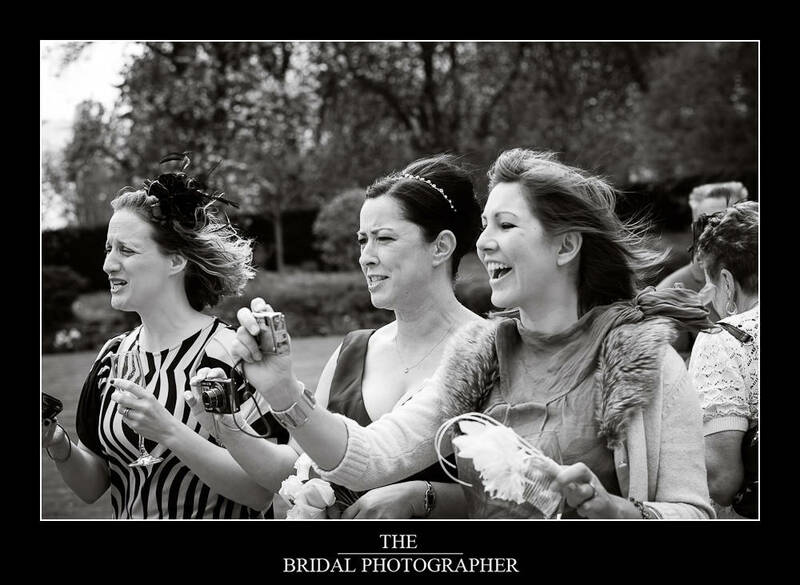 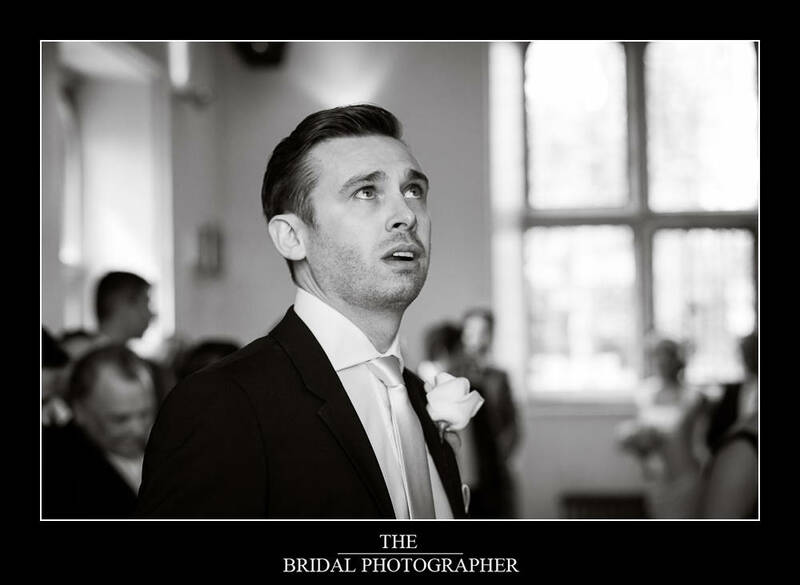 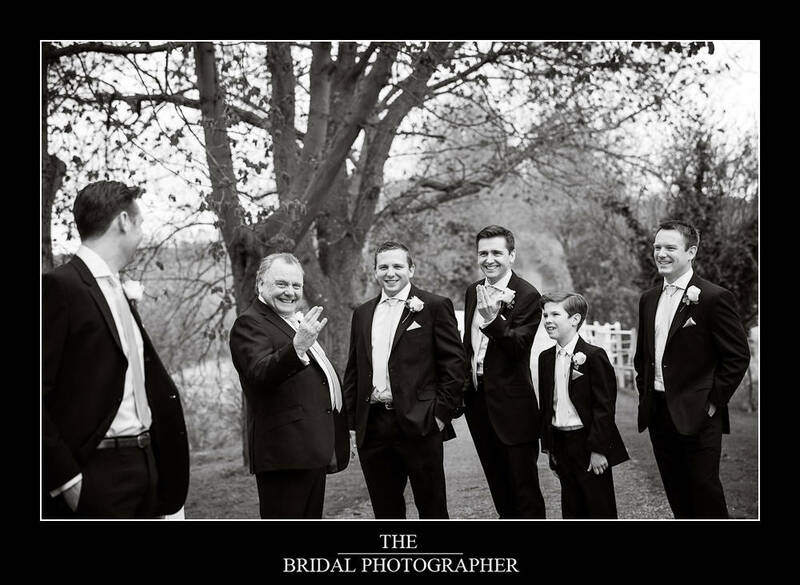 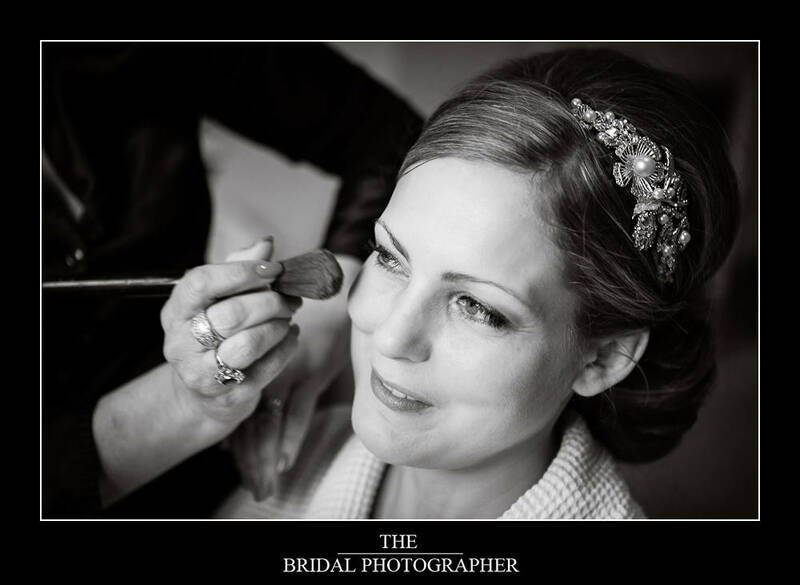 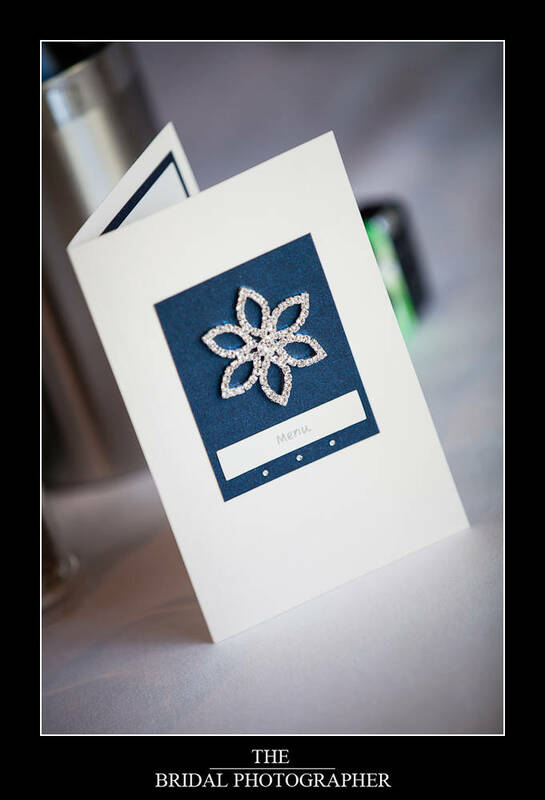 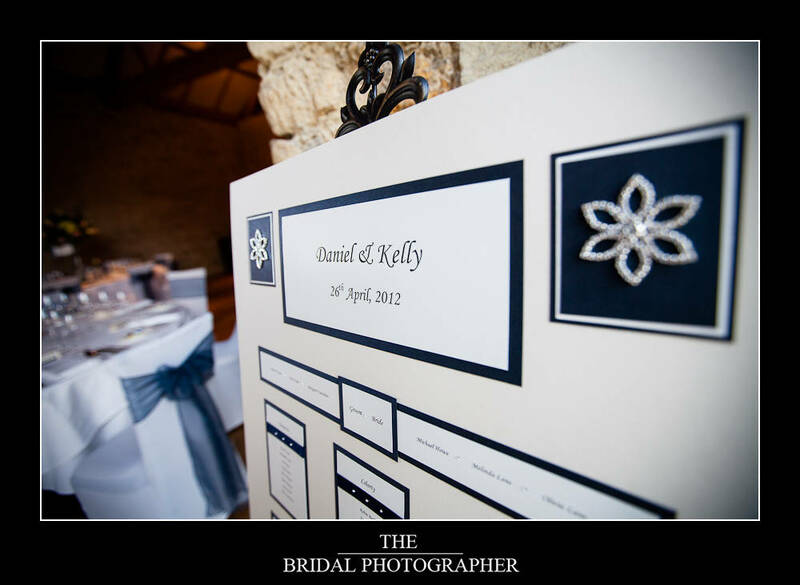 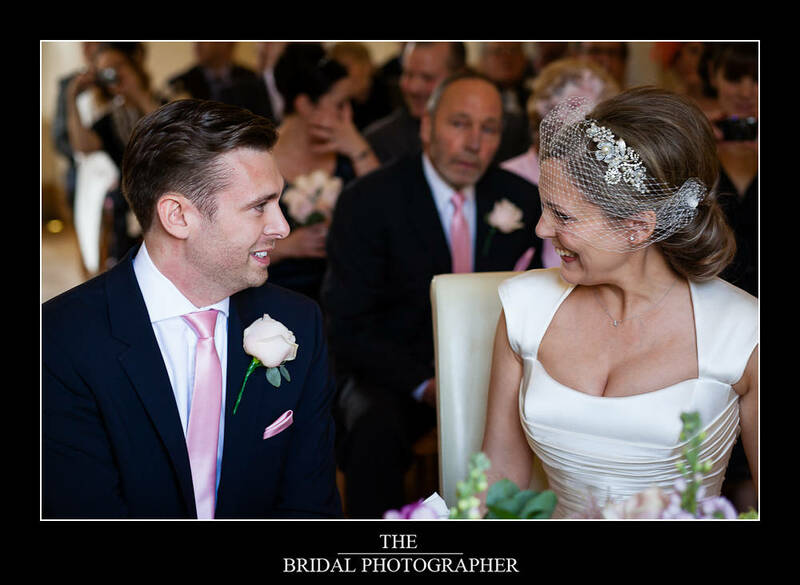 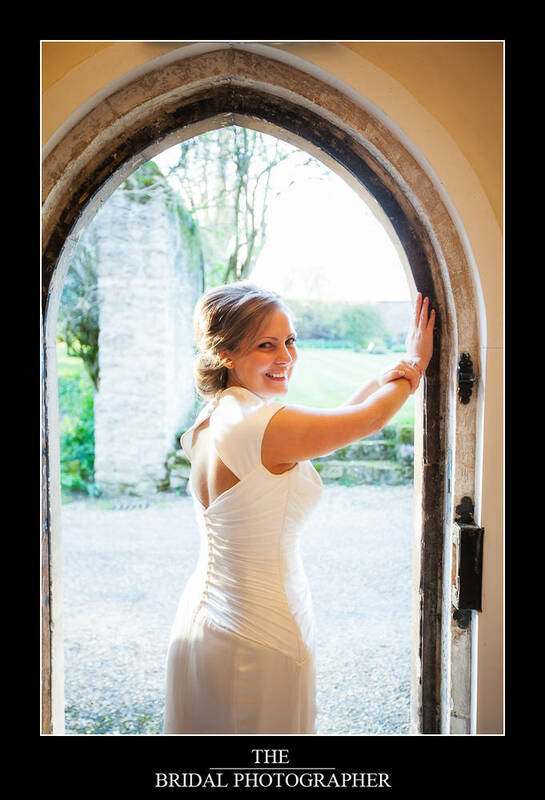 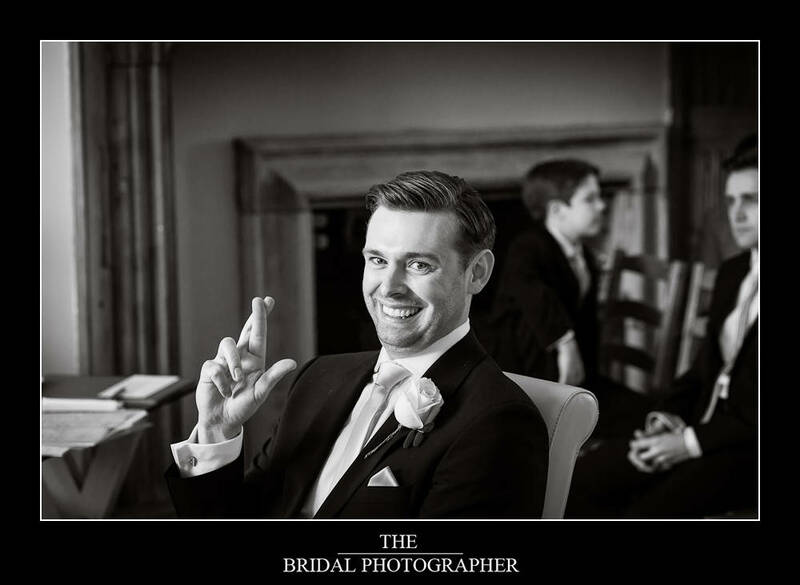 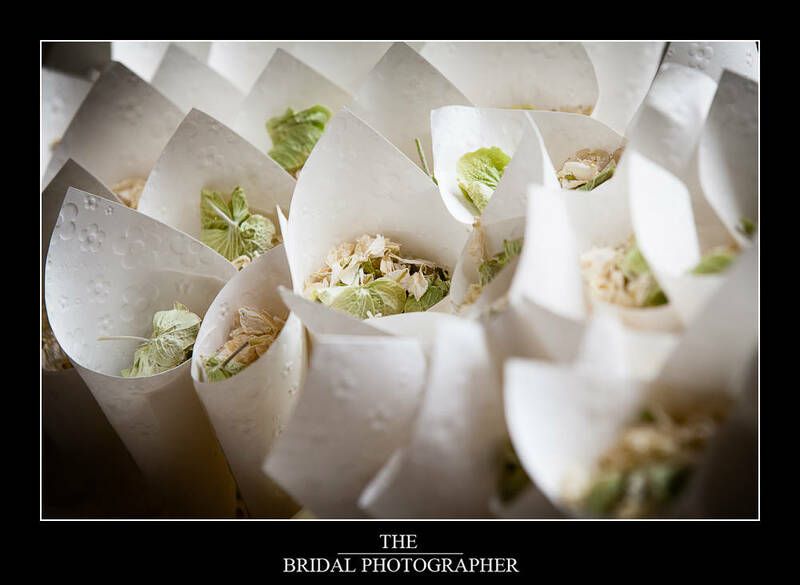 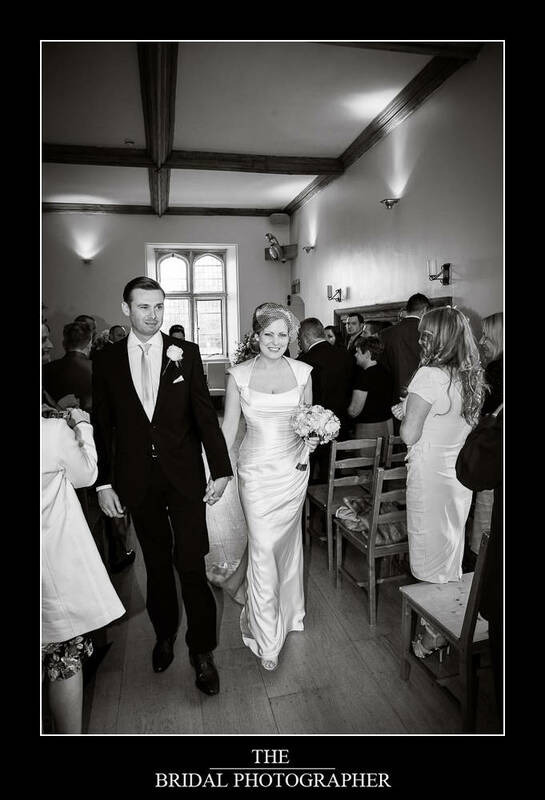 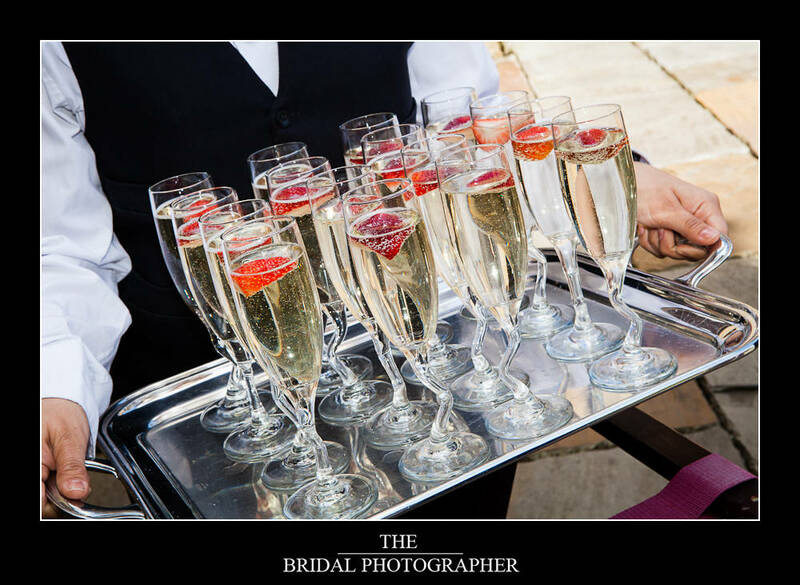 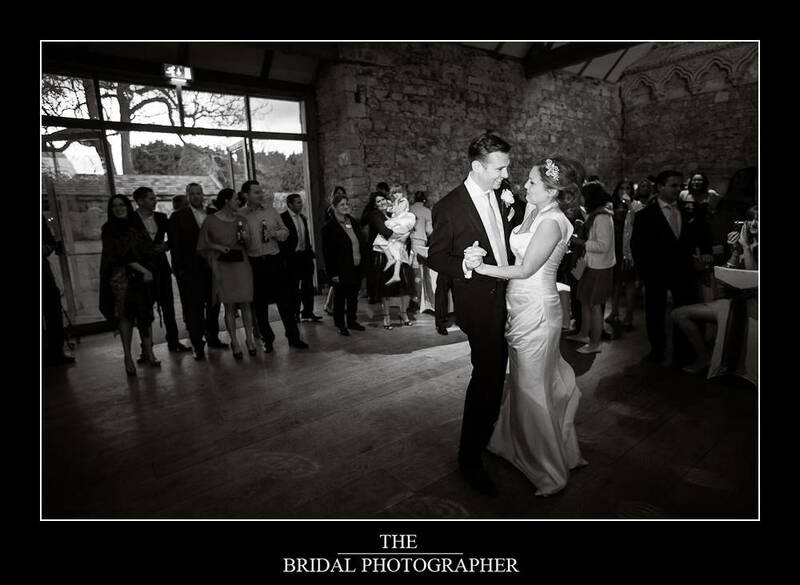 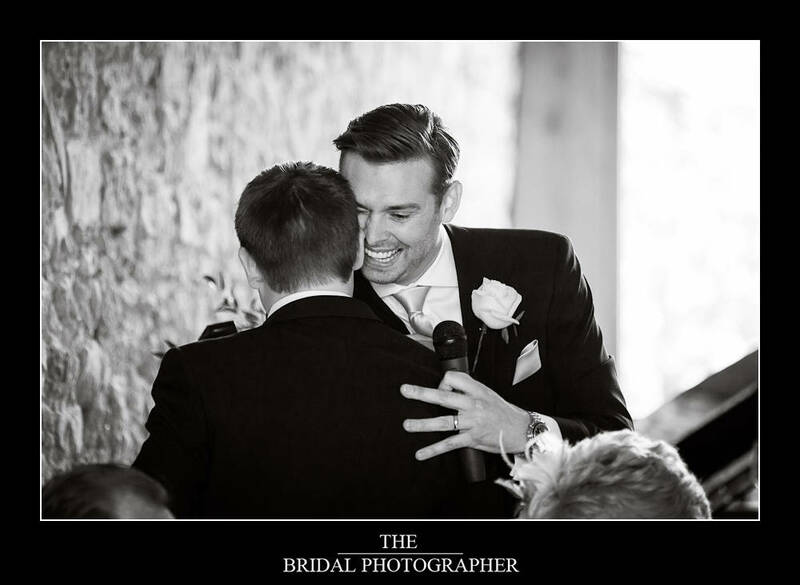 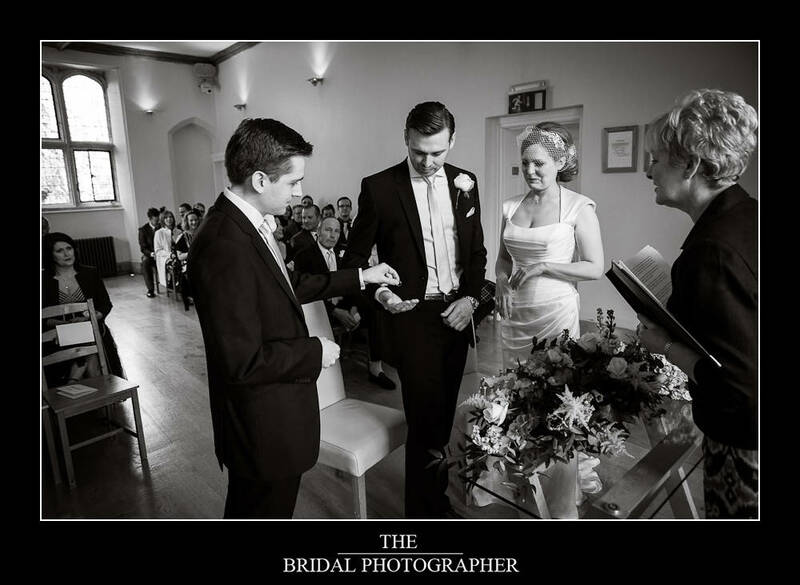 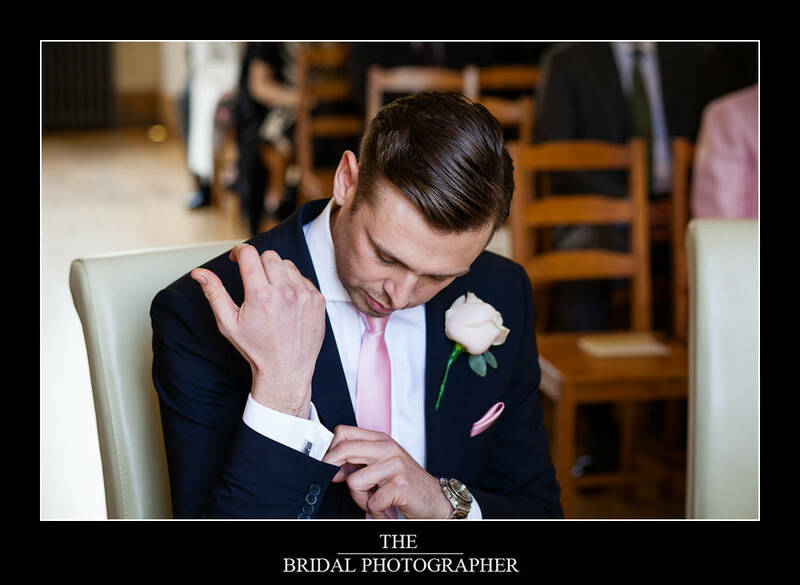 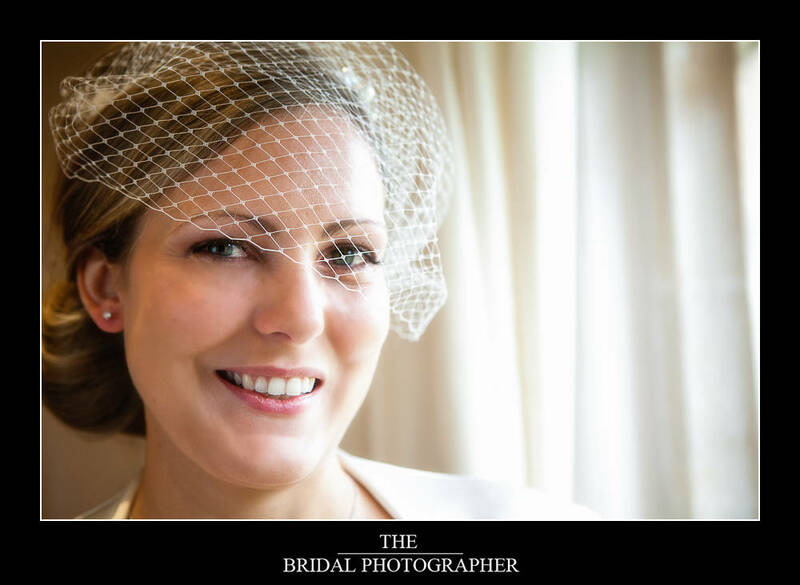 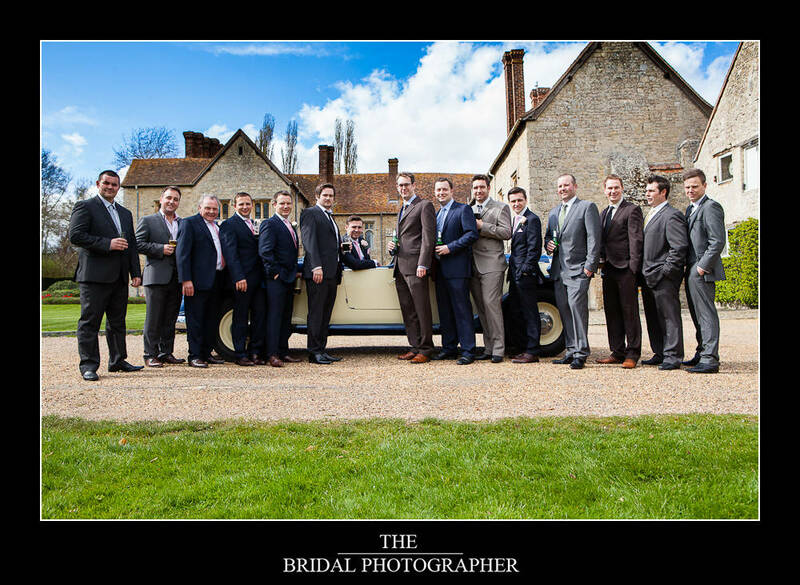 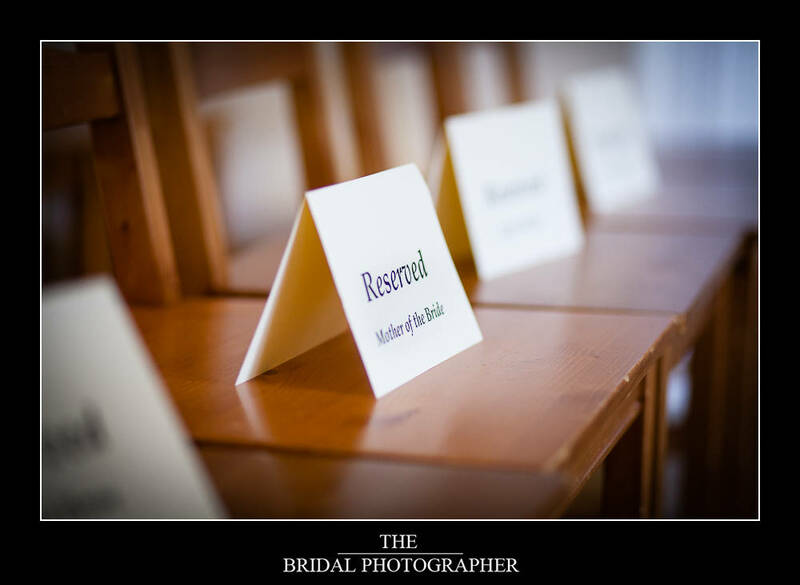 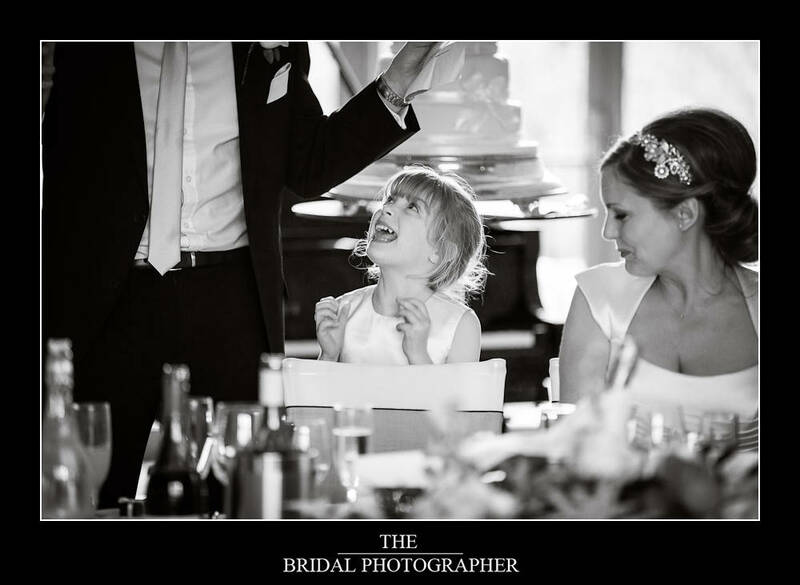 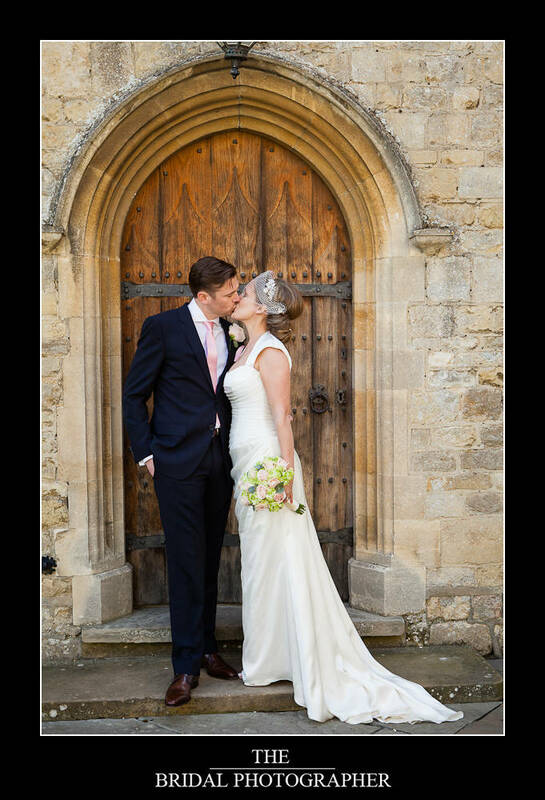 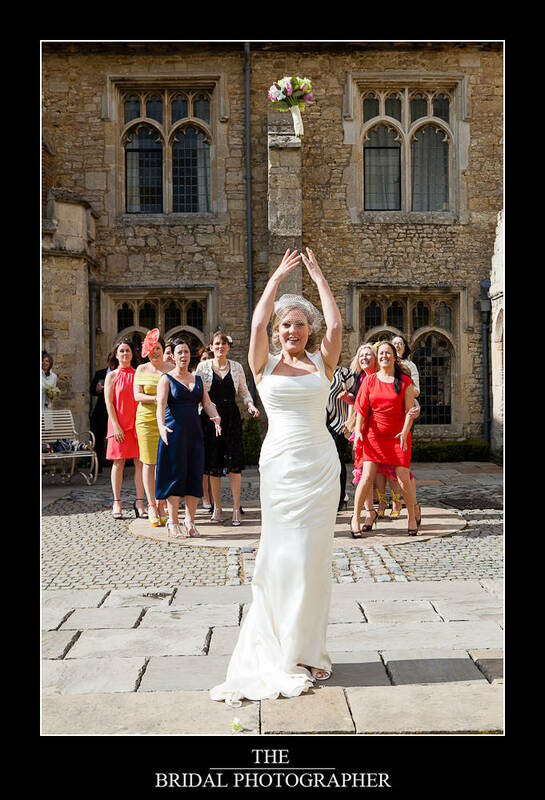 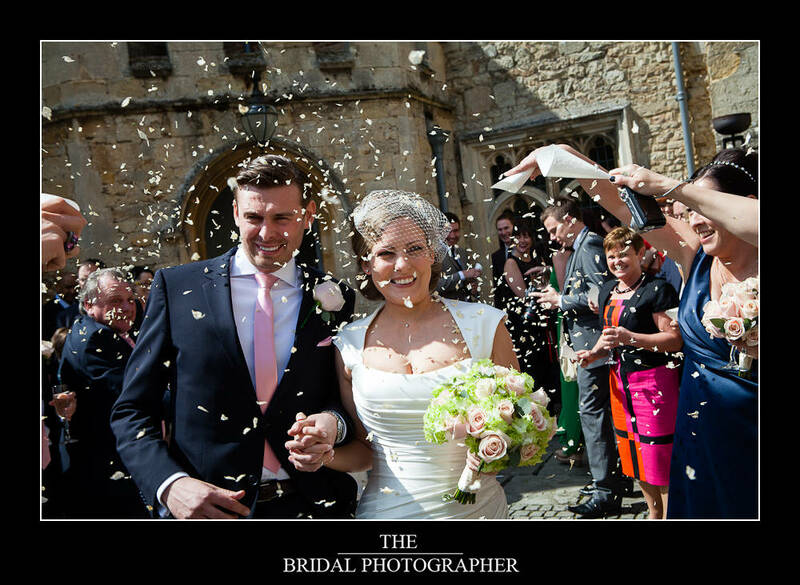 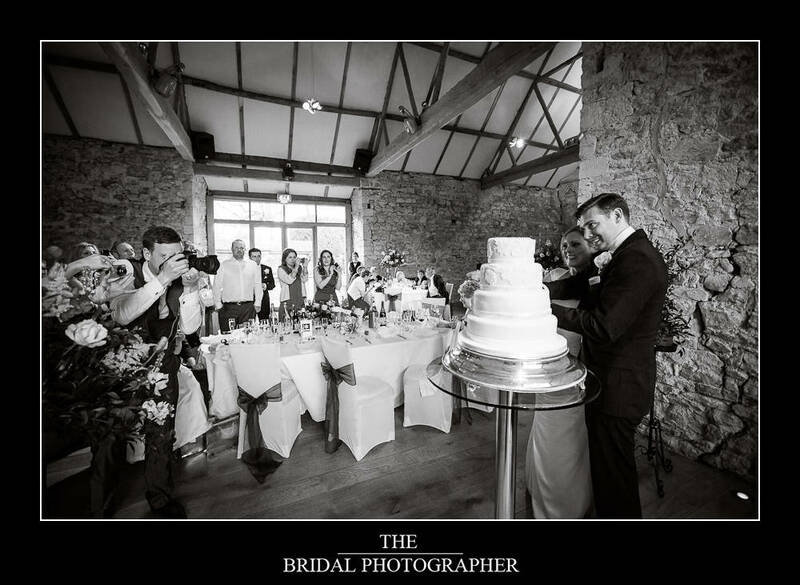 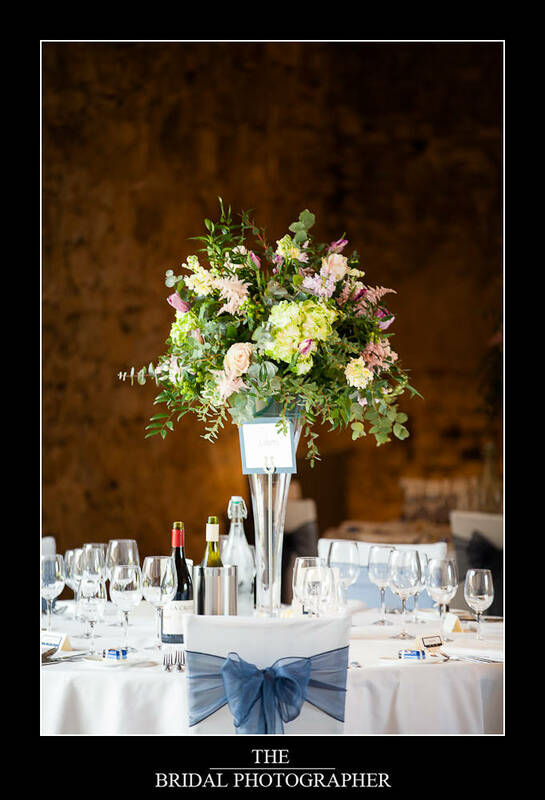 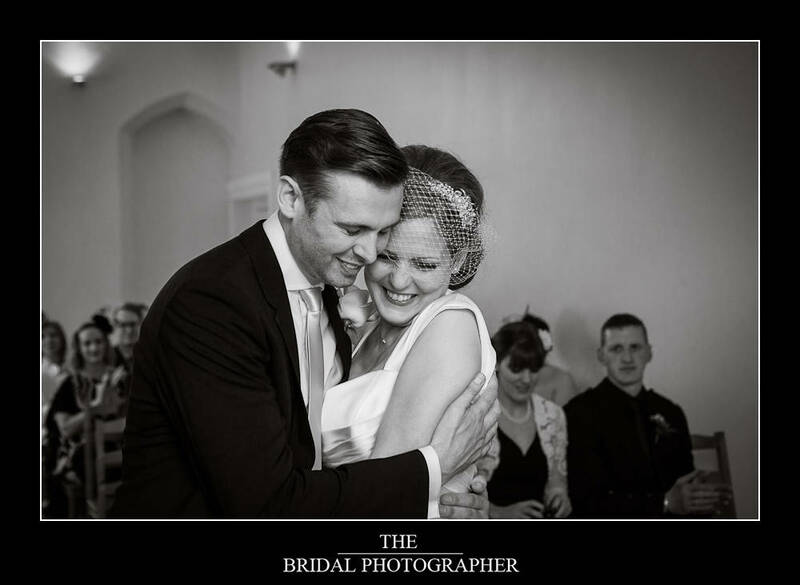 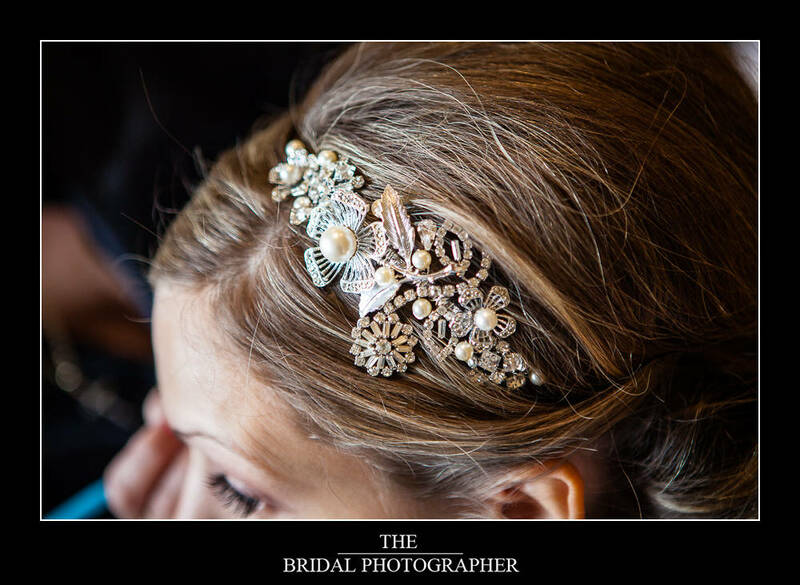 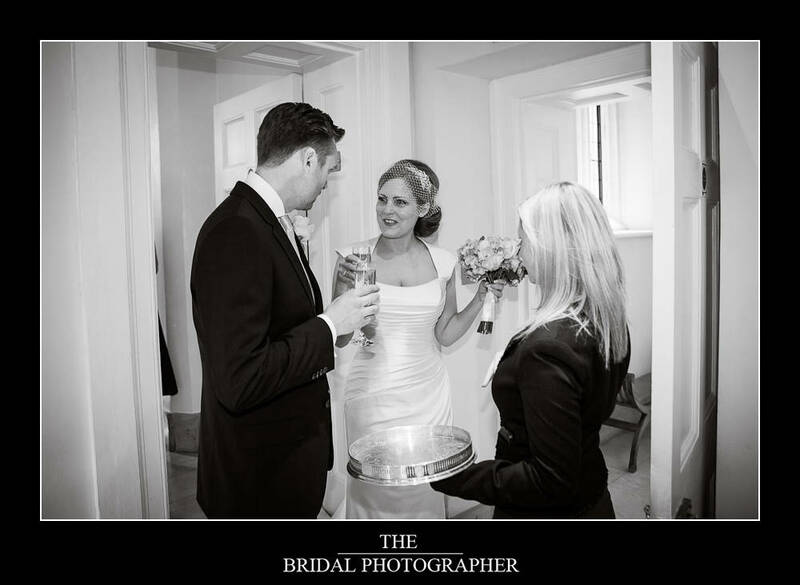 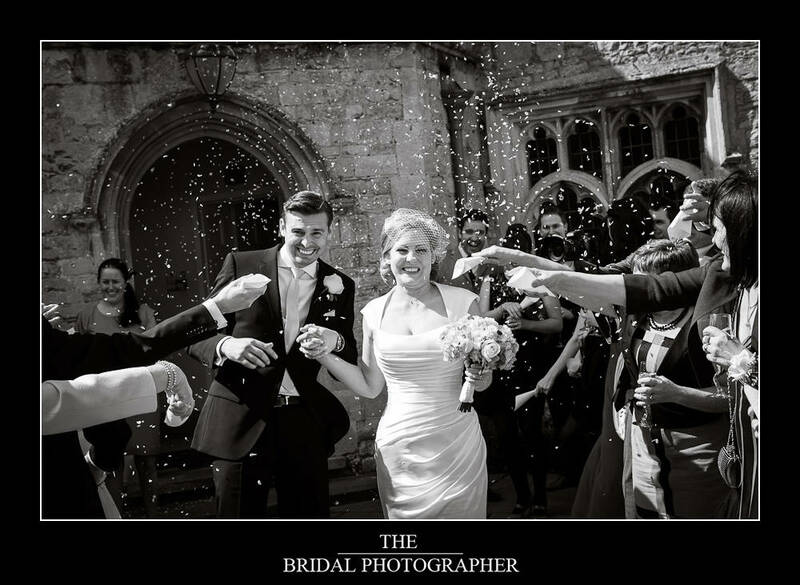 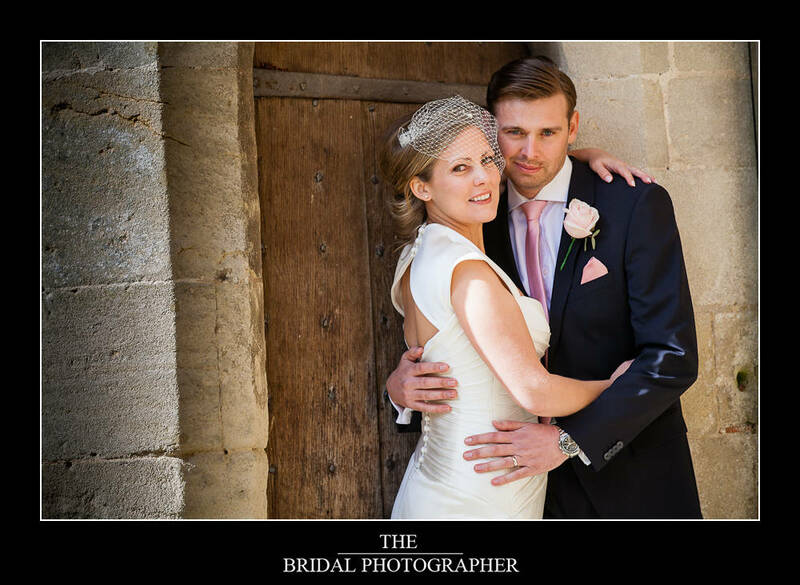 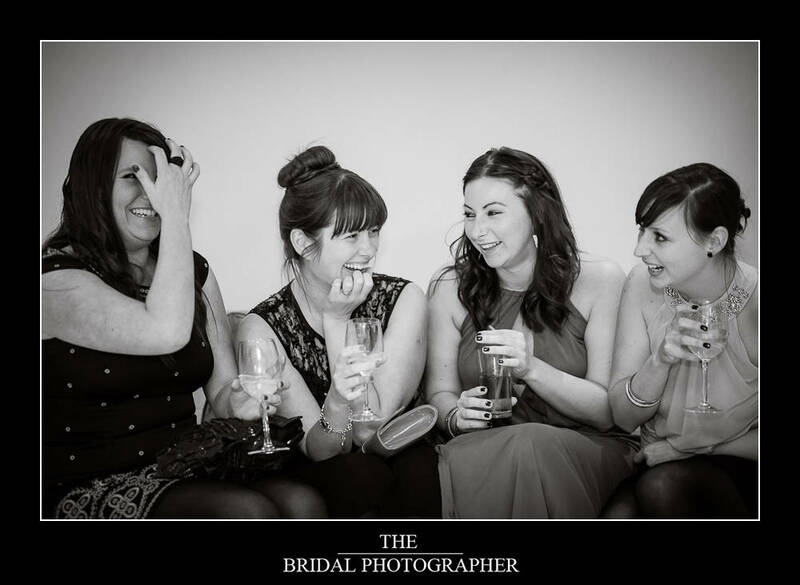 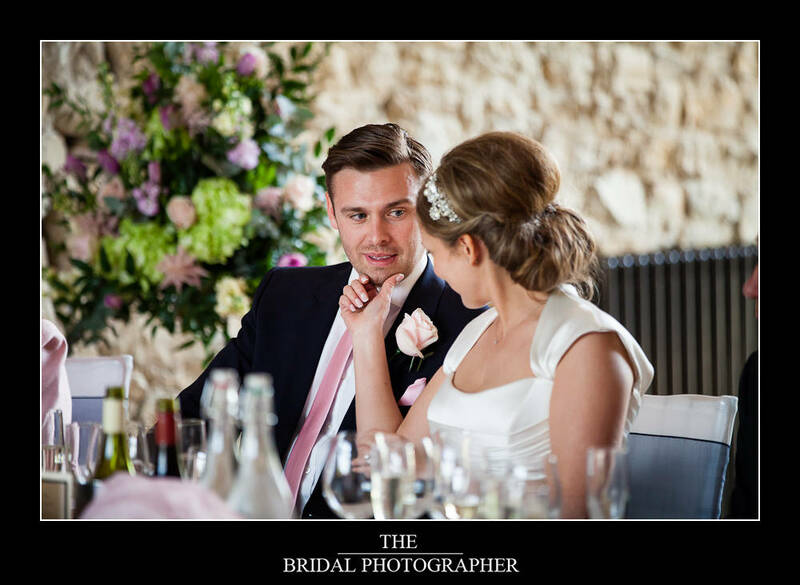 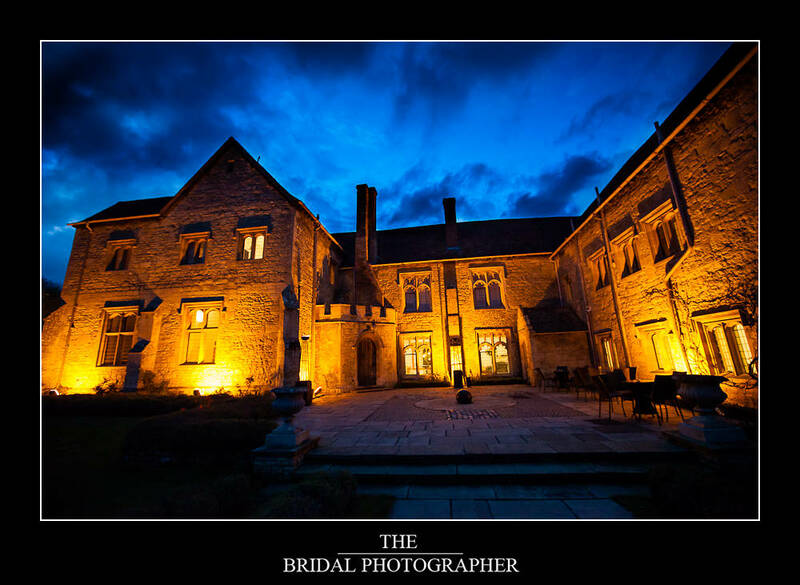 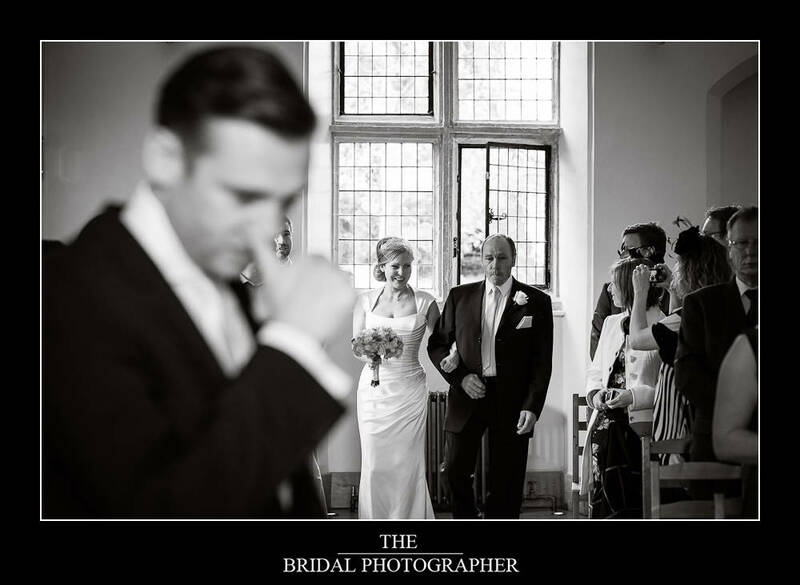 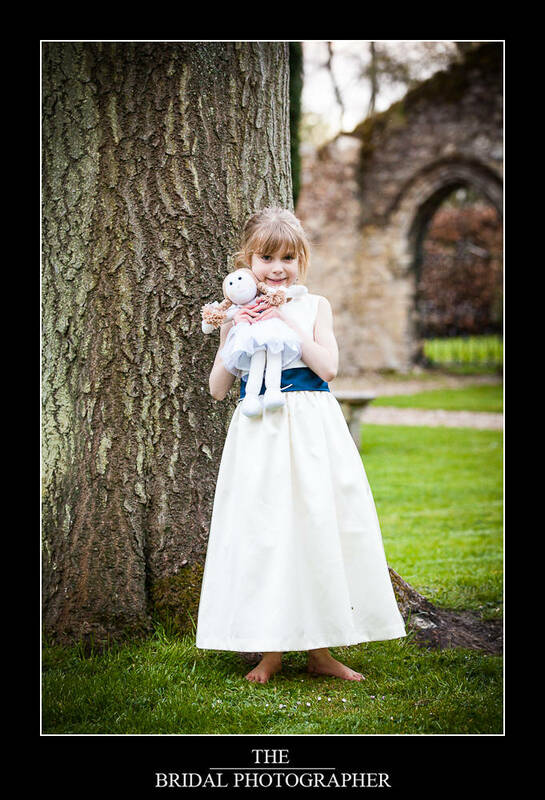 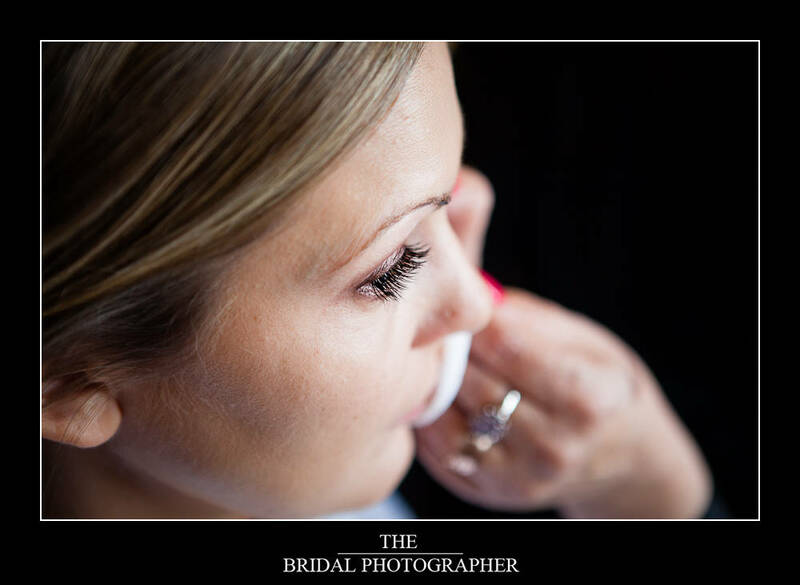 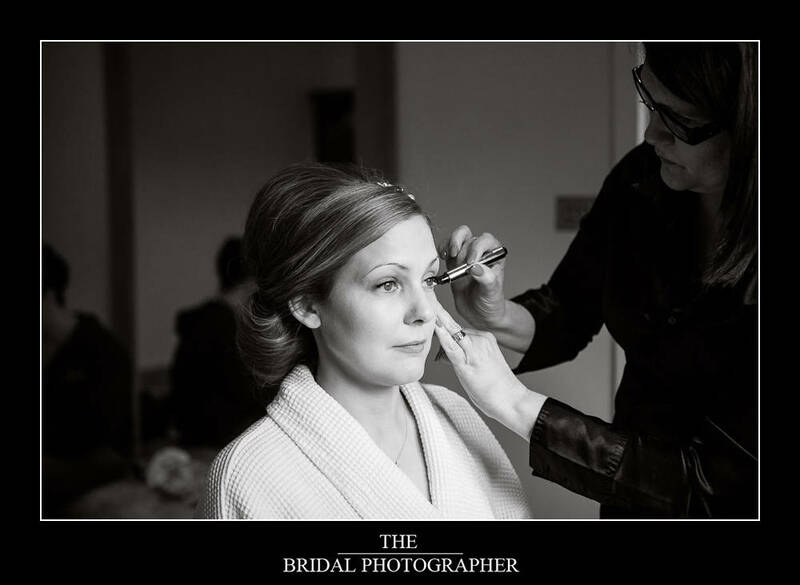 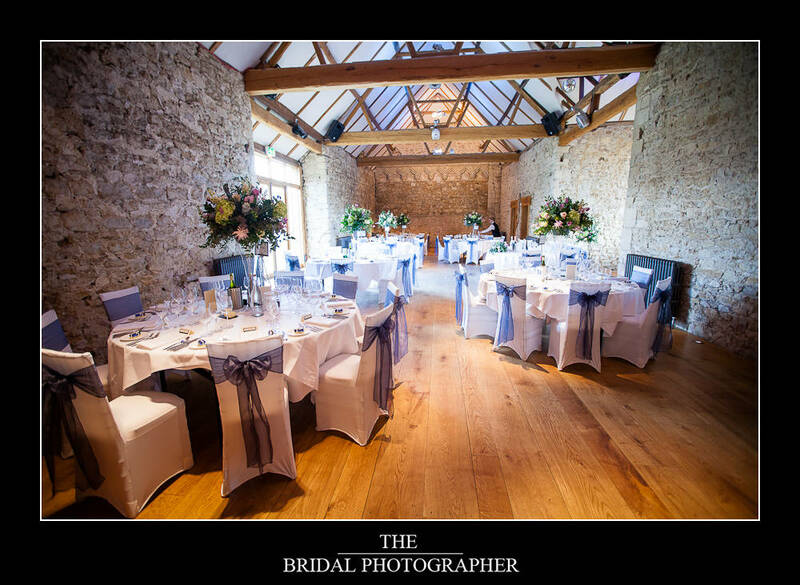 What an amazing day Kelly and Danny has at their Notley Abbey Wedding on 26th April this year. 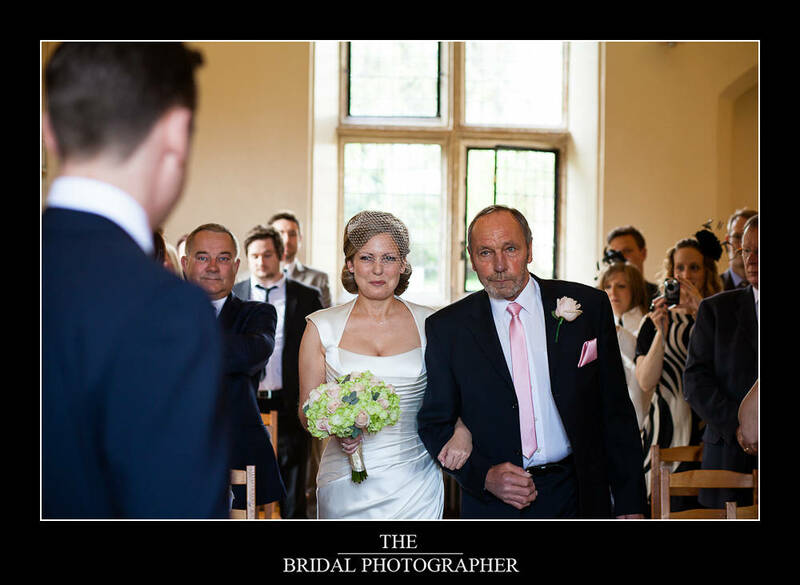 On the way to the wedding it continued to rain as it had most of the week and I knew the wedding would be taking place inside. 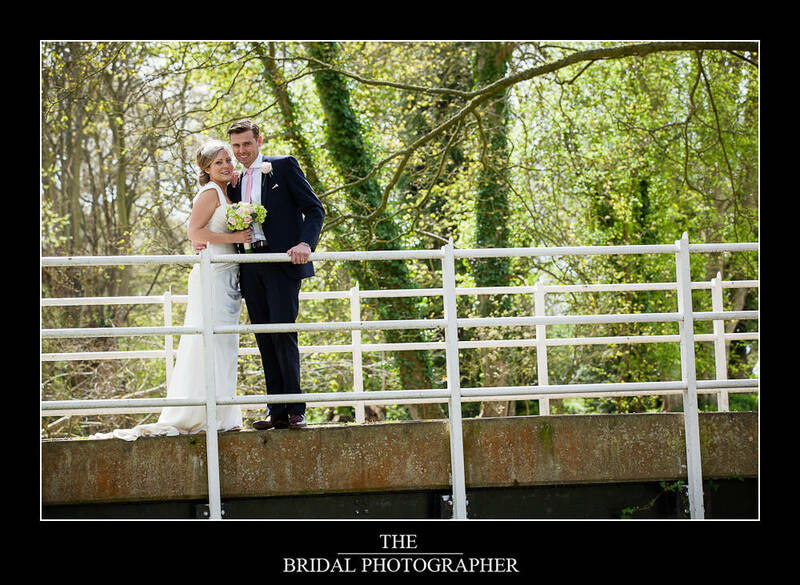 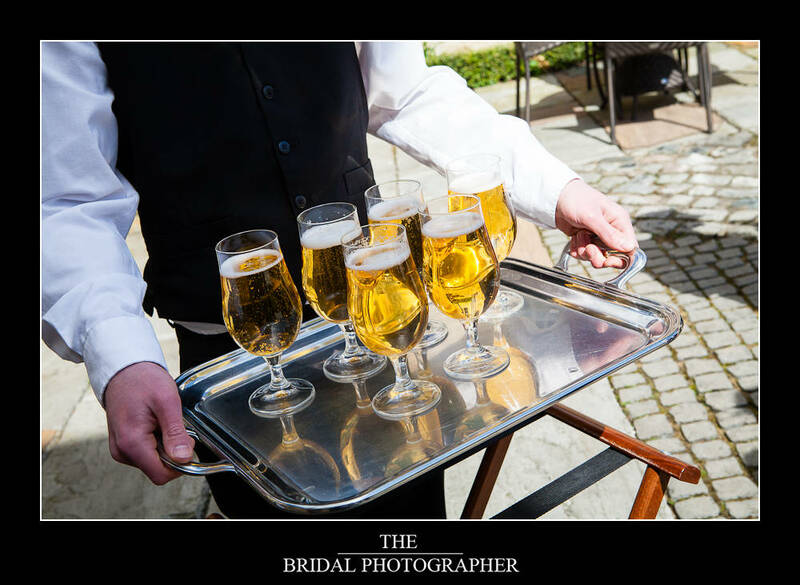 What I didn’t bank on however was the sun coming out during the ceremony meaning the couple had the most beautiful sunny spring weather and blue skies for their champagne reception and the photographs. 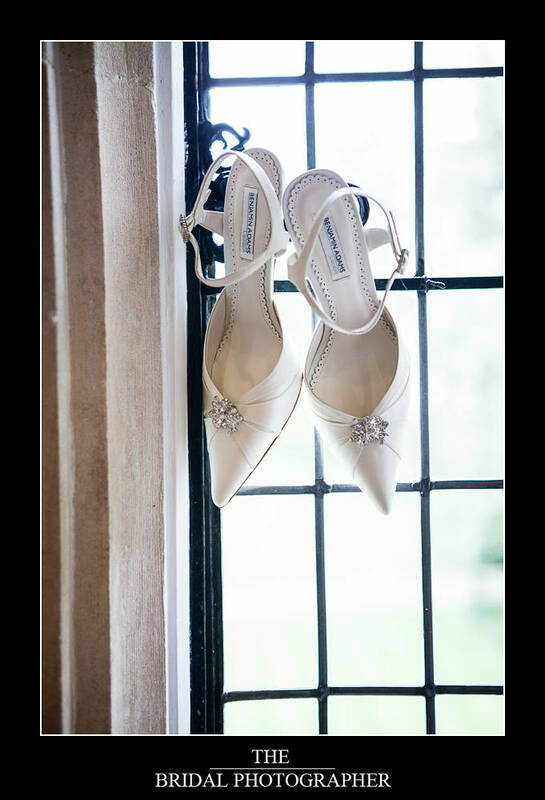 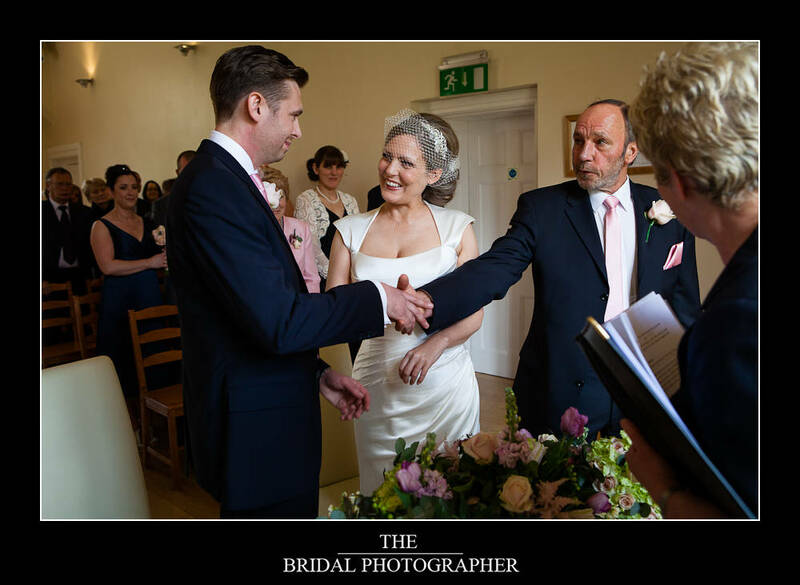 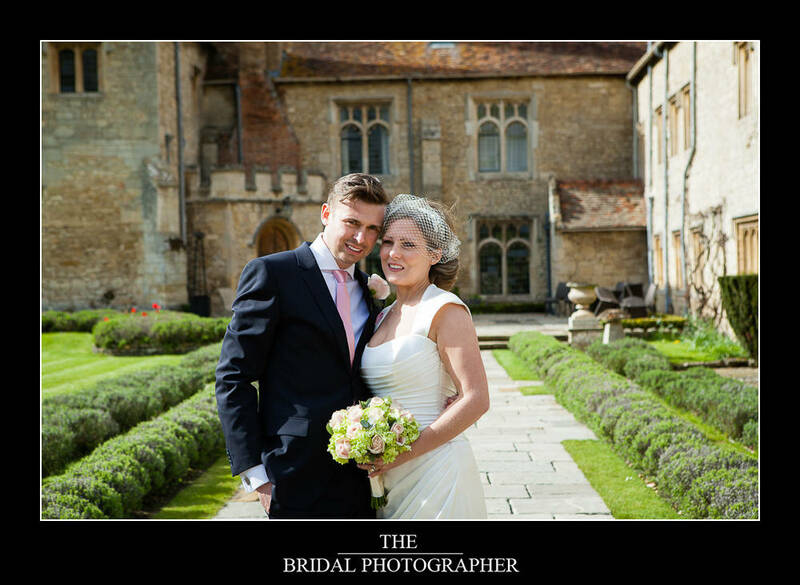 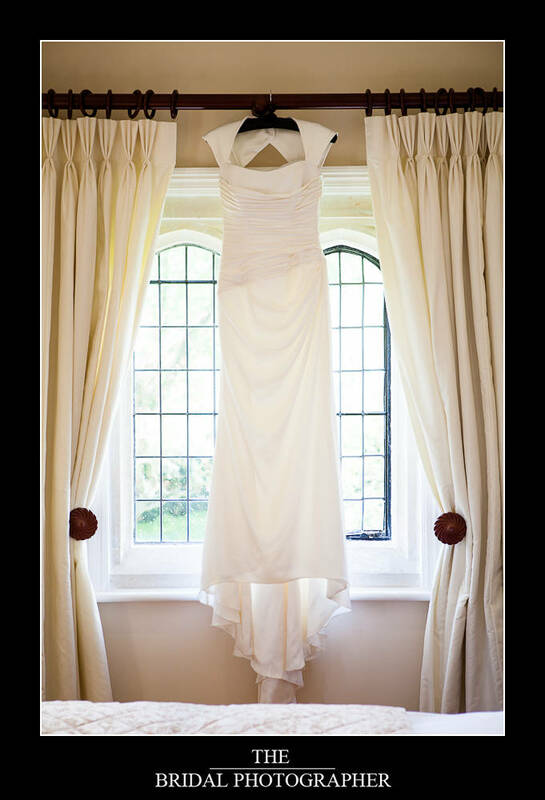 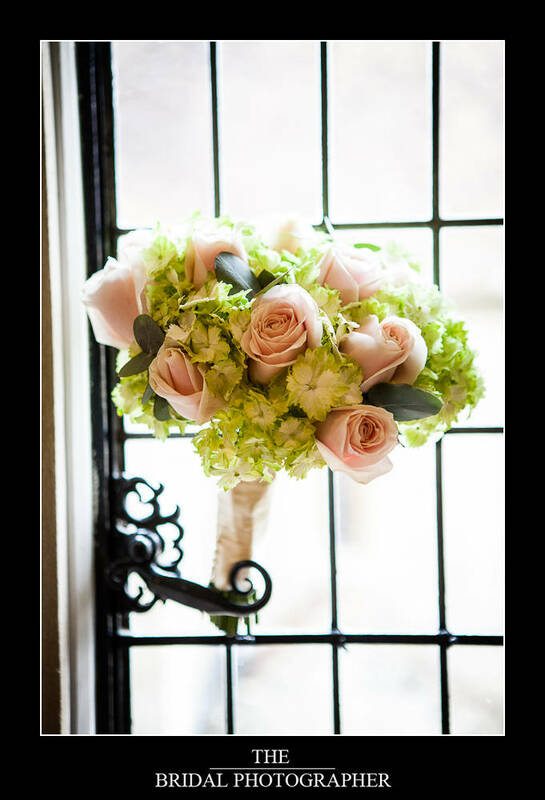 I was so happy for them as I knew they had been hoping for a sunny day which would bring out the beauty of Notley Abbey as a wedding venue in Buckinghamshire. 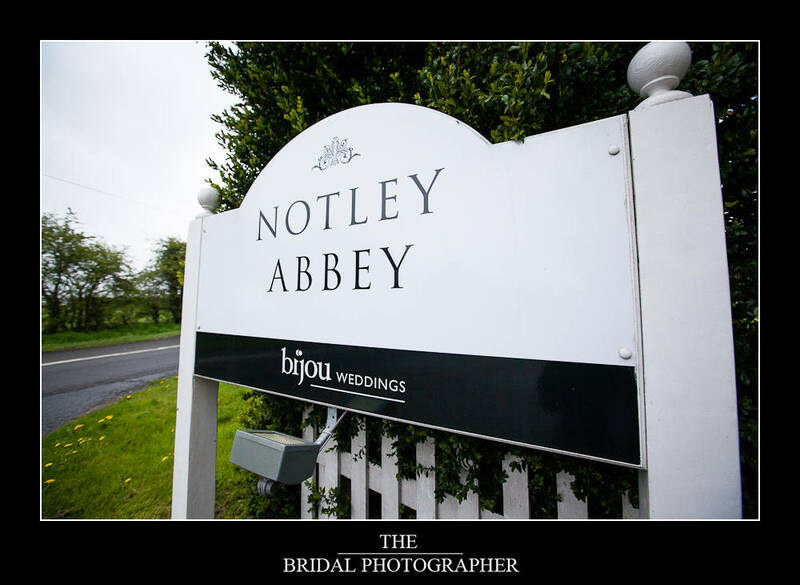 I think out of all the Bijou Wedding venues Notley Abbey is probably my favourite to photograph a wedding at, the others in the group being Silchester House, Cain Manor and Botleys. 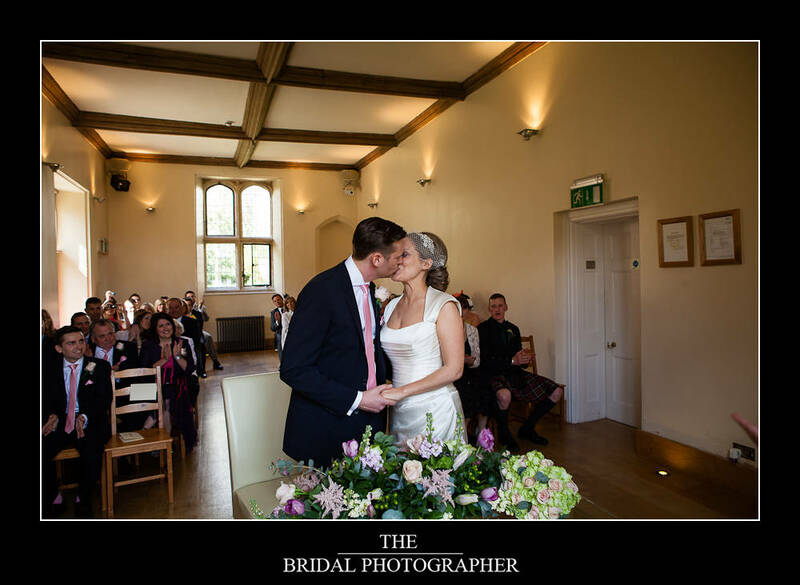 This is simply because as the original home of Laurence Olivier and Vivien Leigh in the 1950’s and formerly an Abbey it has a very special calm and tranquil atmosphere about it. 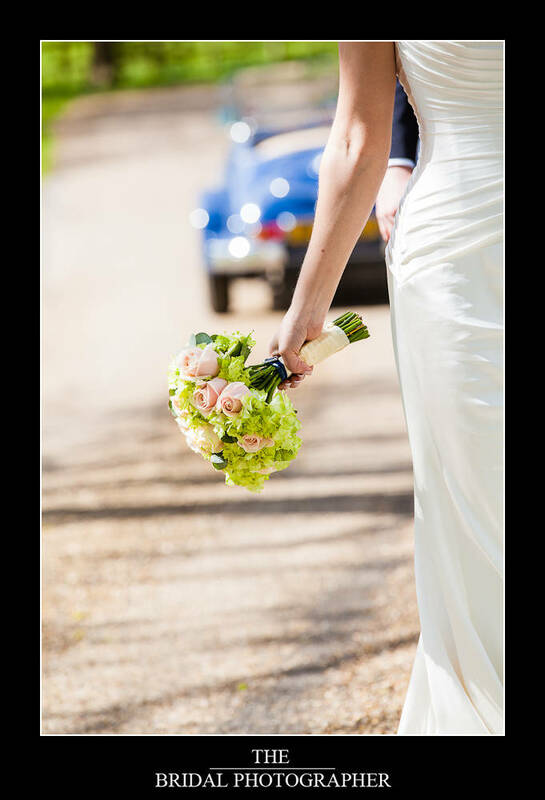 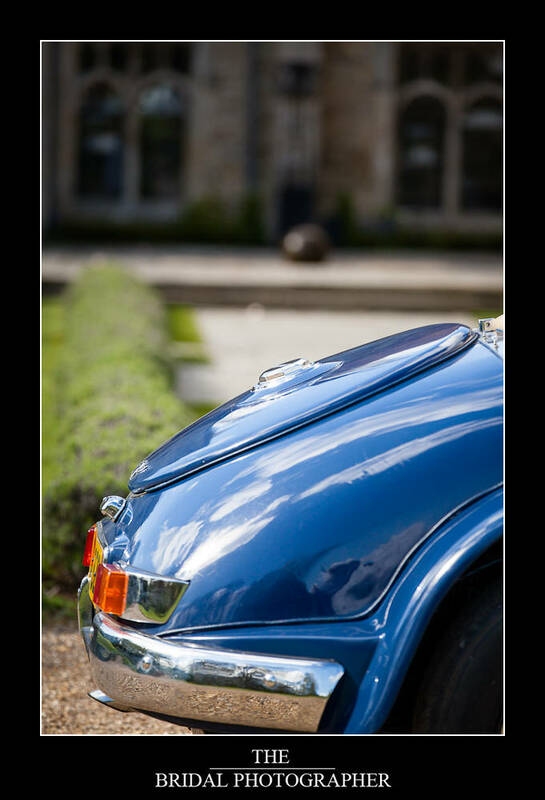 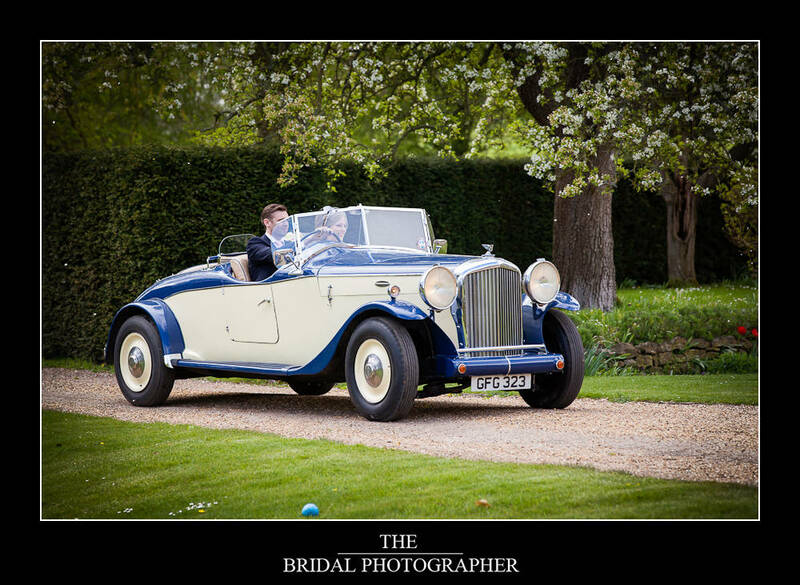 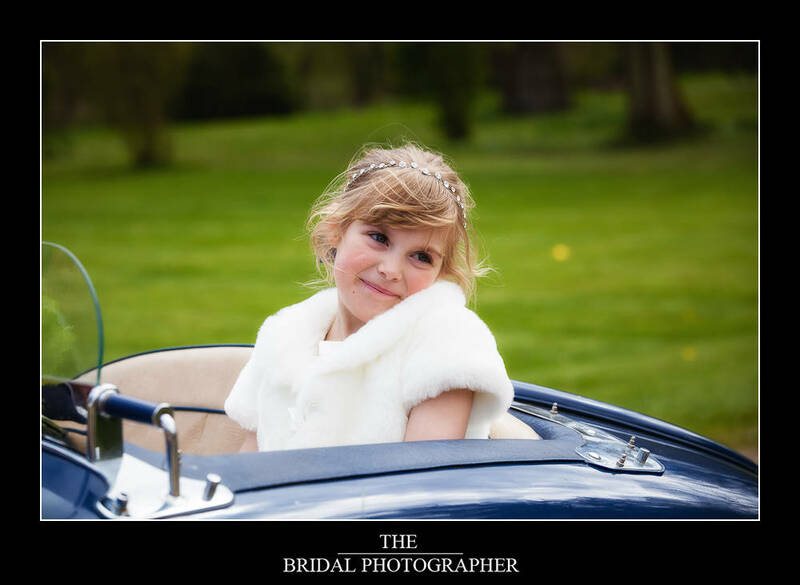 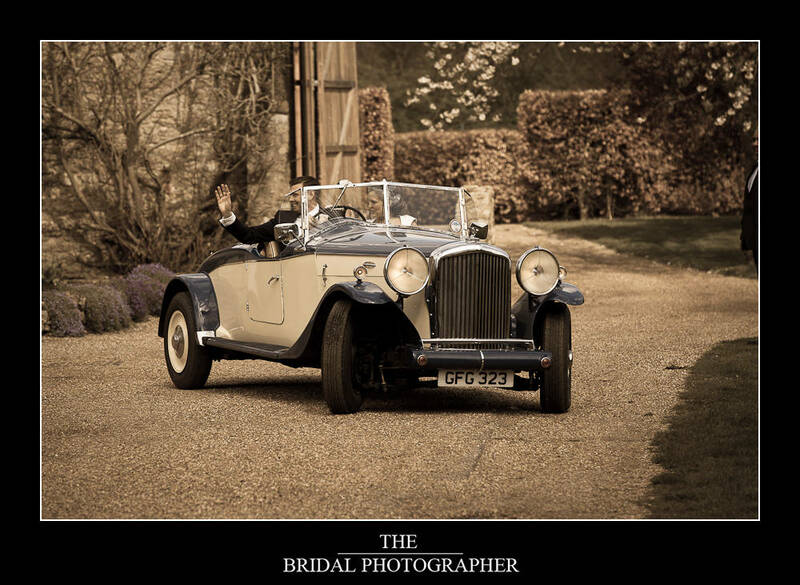 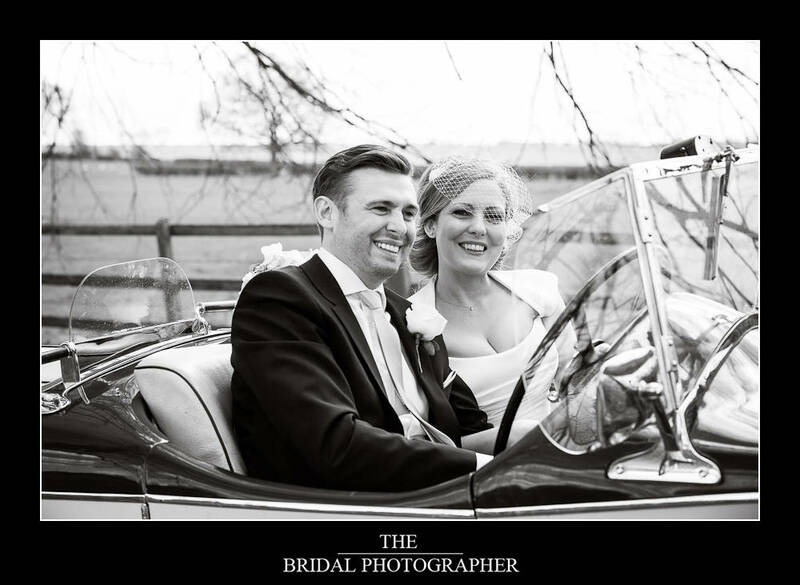 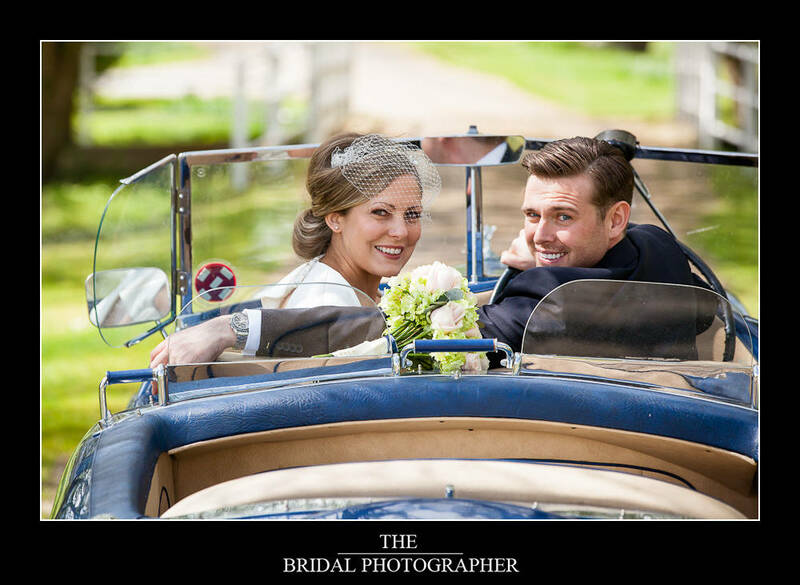 The sunny weather meant Danny and Kelly managed a drive around the estate in the vintage Bentley Notley Abbey has on site and we managed to get some great images. 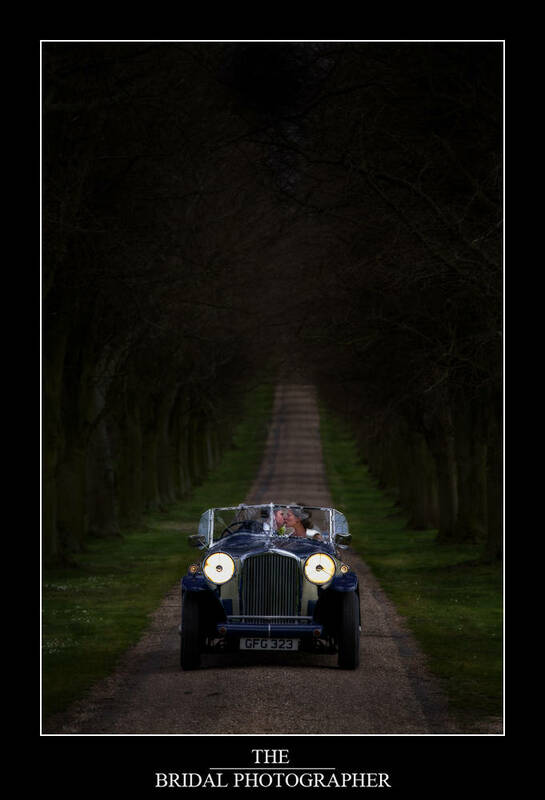 My favourite image is the couple coming down the driveway through the trees out of the gloom headlights blazing and sneaking a kiss! 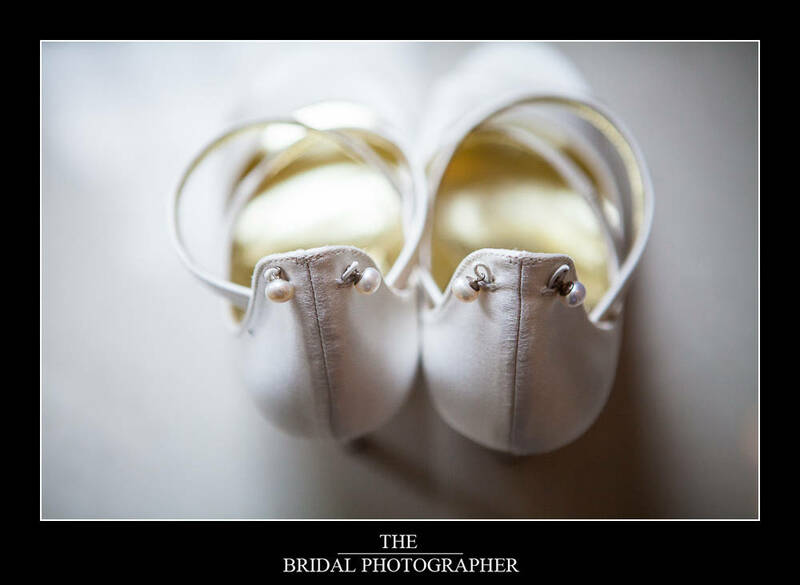 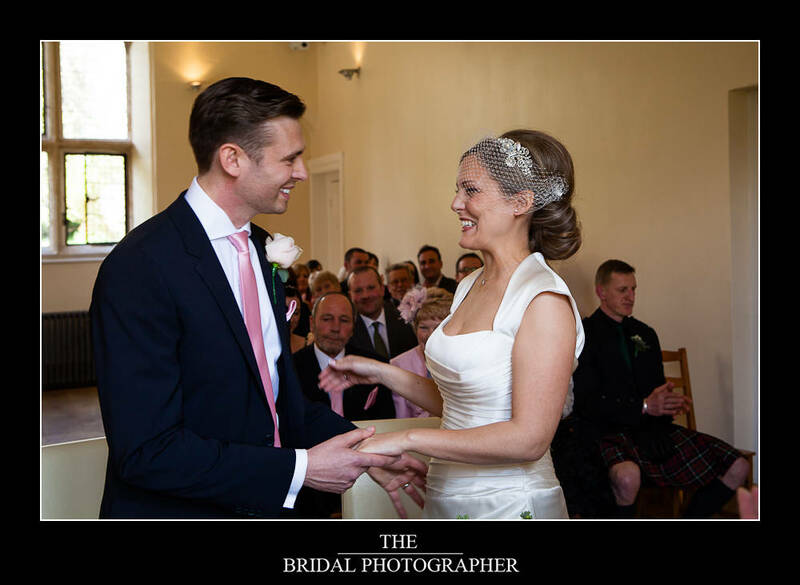 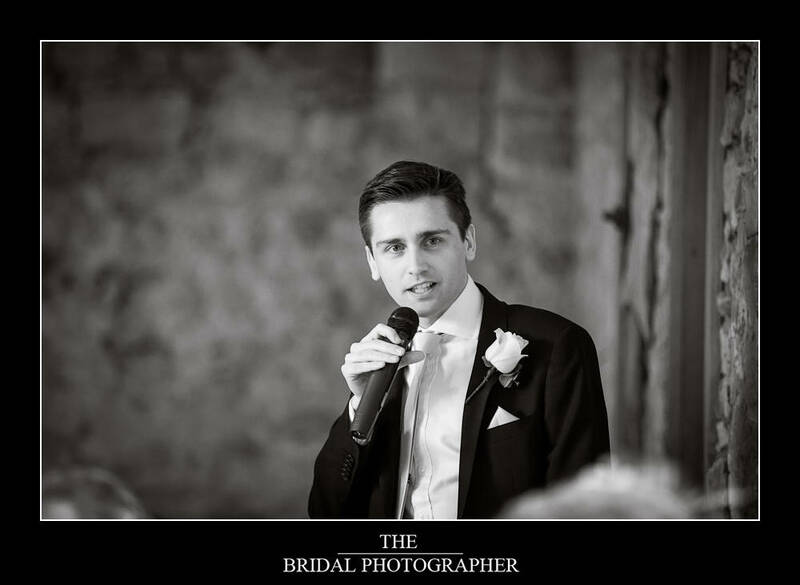 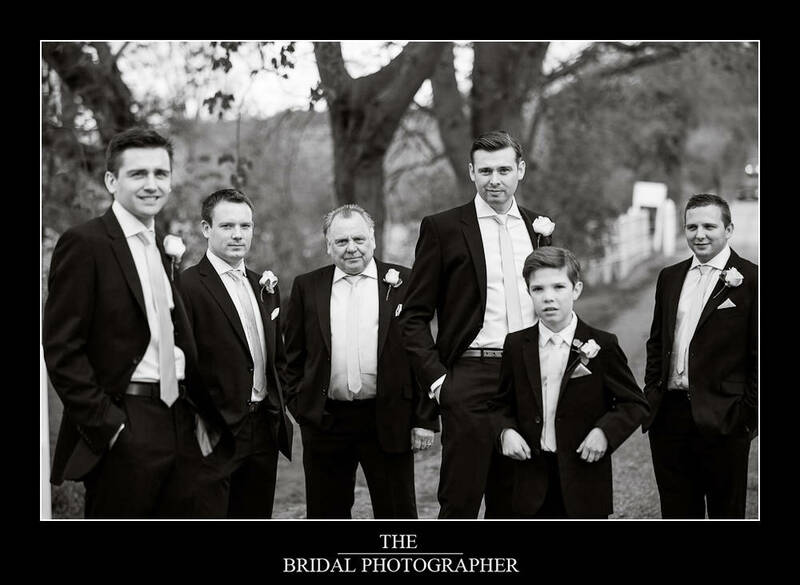 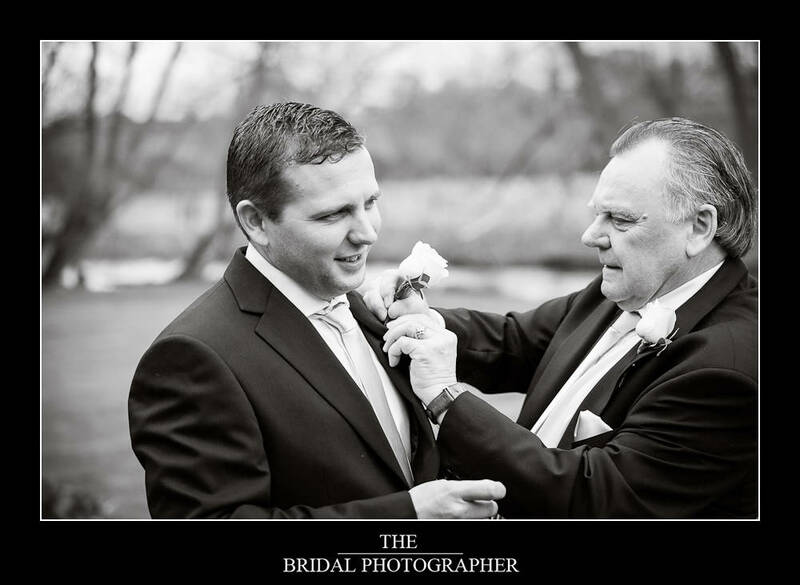 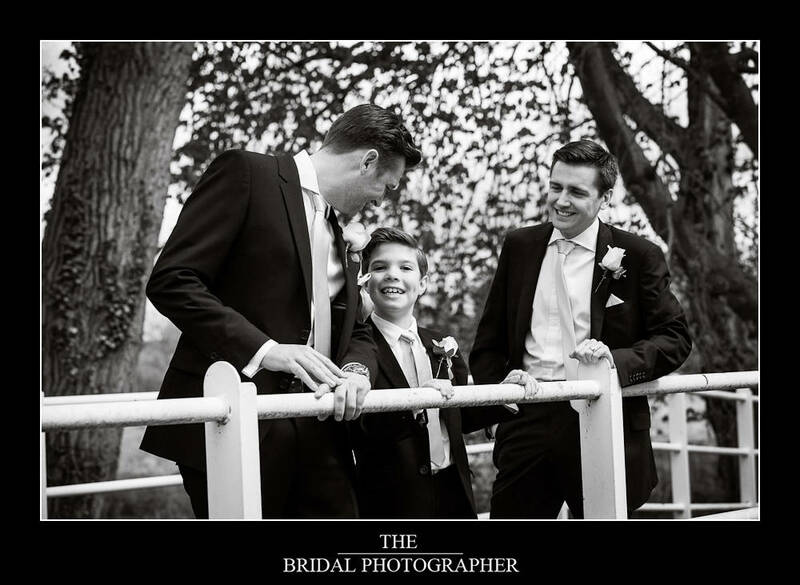 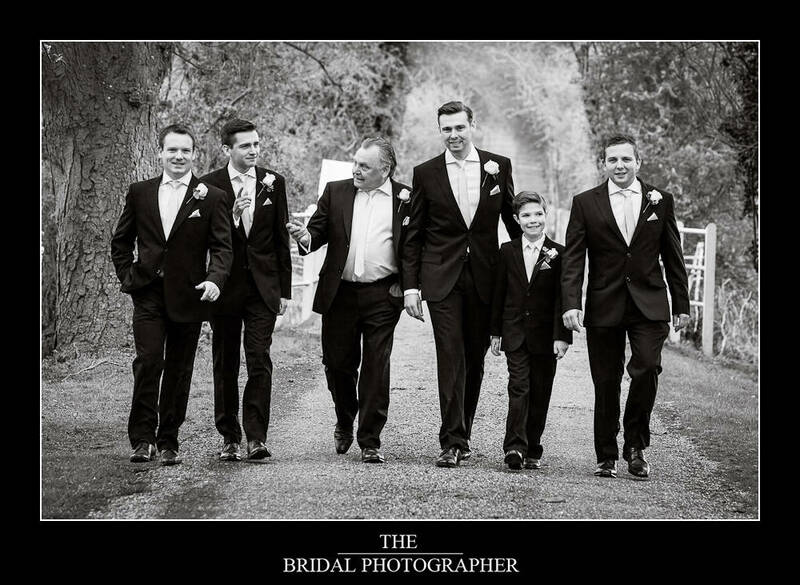 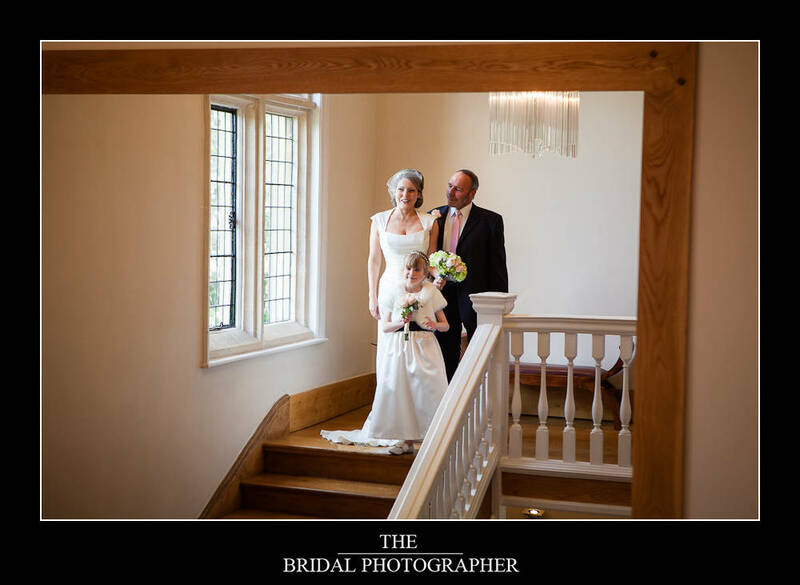 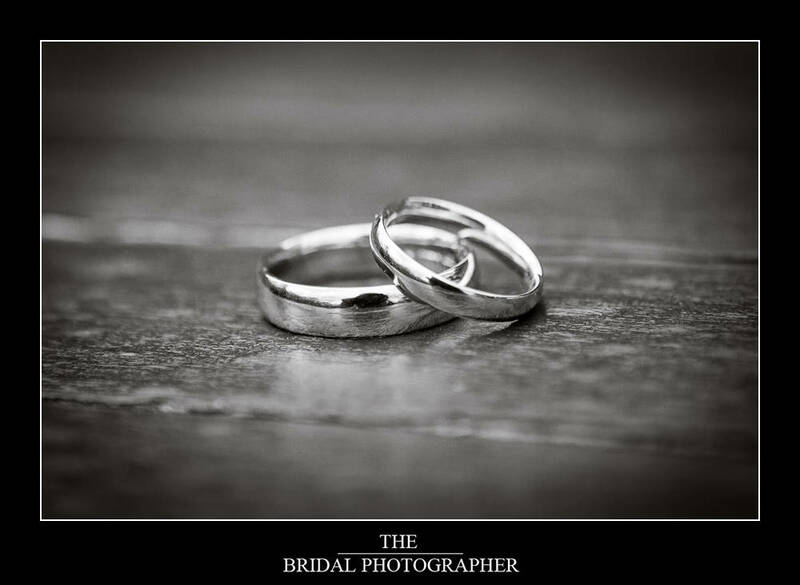 Sometimes you just know when you get home from a wedding that the pictures will be stunning so I was really looking forward to the edit and am really pleased with the images and more importantly so are Kelly and Daniel. 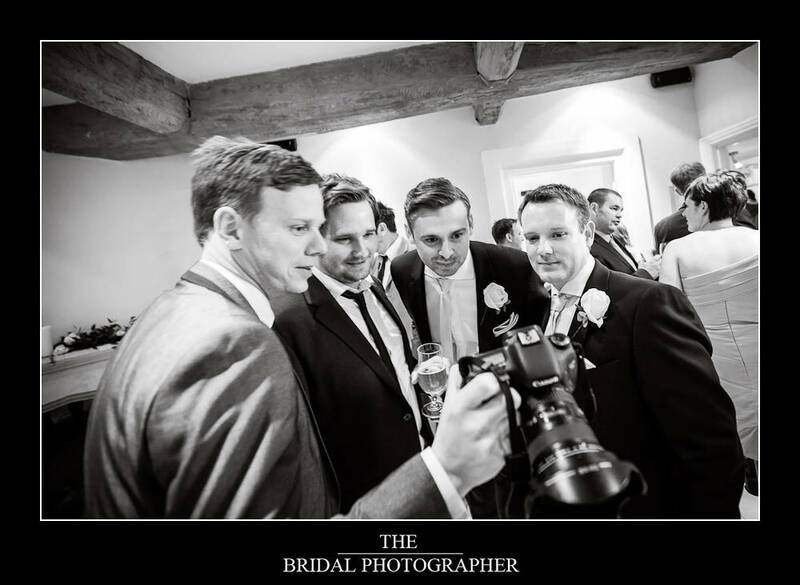 A stunning coverage Dave.Really lovely work as always. 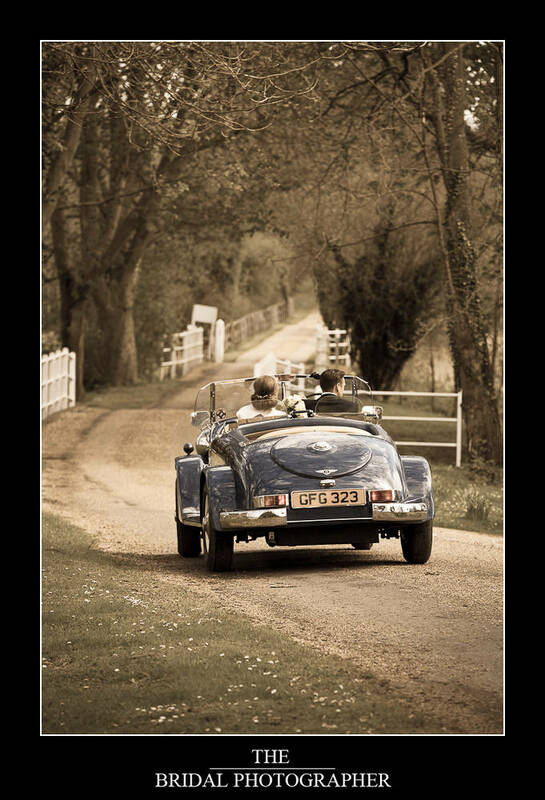 Love this image… evokes a real feeling of nostalgia! 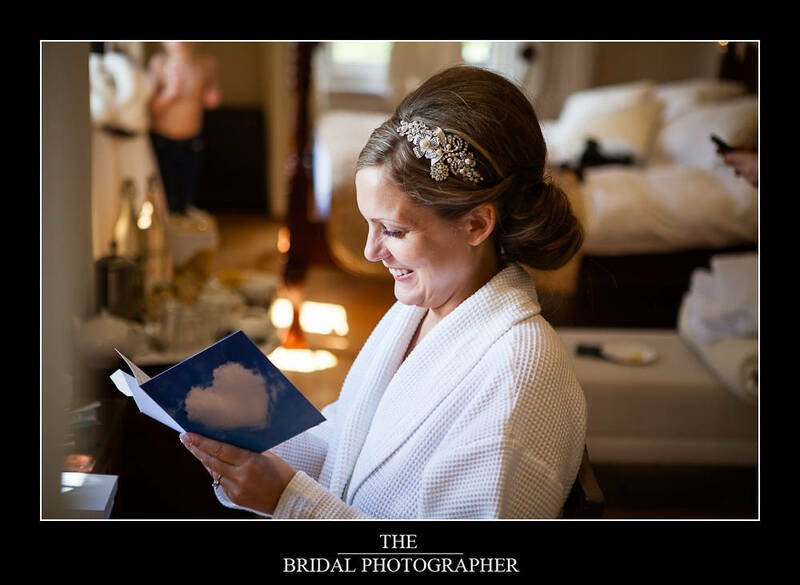 Technically you did well to deal with the ‘highlights’ that the day’s sunshine must have challenged you with too.